Everyone has seen photos of the picture-perfect scenery that made the Greek Islands famous: whitewashed buildings in small, dreamy villages, views over the azure blue waters of the Mediterranean, secluded beaches, breathtaking sunsets over the sea. A trip to the Greek Islands, known for their stunning natural beauty, is a dream trip for many people. But did you know there are 230 inhabited islands in Greece? And different island groups, such as the Cyclades and the Dodecanese? So how do you decide which island(s) to visit? I compiled a list of the six best Greek Islands to visit, and I chose islands that you can easily visit during one single trip to Greece – so if you do have a couple of weeks to spare, I highly recommend an island hopping trip covering all six islands. If there’s one Greek island you’ve heard of, it is Santorini, the most famous of them all. You might be put of by the large number of tourists that visit Santorini every year, but remember: Santorini is popular for a reason. The white buildings with their bright blue roofs, perched onto hillsides with sweeping vistas over the Aegean Sea, are what this island is known for. Even though these days it is hard to find an untouched corner on the island, Santorini has been able to maintain its traditional Greek-ness. Spend at least a couple of days here to take in the jaw-droppingly beautiful sunsets from Oia in the far north of the island, visit Fira, the capital, with its spectacular clifftop setting and delightful whitewashed buildings, stop at Red Beach with the remarkable backdrop of towering red rocks, and Eros Beach in the south to get away from the crowds. How to get there: Santorini is a quick 30-min plane ride from Athens, but during high season, many European cities offer direct flights to Santorini. From Santorini, you can take a ferry to Naxos (about 1 hr 45 mins) or to Mykonos (about 2 – 2.5 hrs). You can find detailed information about all the ferry connections between the Greek islands here. Where to stay: The best towns to stay in are the enchanting cliffside towns: Oia, Fira, Firostefani and Imerovigli. Be aware that the first two are especially popular and can get very crowded in the summer months. If you want a base away from the tourists, opt for the inland village of Pyrgos. What to Know: Book your flights and ferry tickets as early as possible – both sell out during the summer months. A popular thing to do is to take a donkey ride up to the hilltop town of Fira, but be aware that these donkeys live in poor conditions. Santorini is the best place to start your Greek island hopping adventure, but Mykonos is an island that has a completely different feel. In short, Mykonos has it all – here you find beaches, party and traditional Greek life in the smaller villages that are scattered around the island. In high season, this is Greece’s party island, but if you leave Mykonos Town, you can escape the crowds. Mykonos Town’s narrow cobbled alleys are best visited before noon, when most tourists are still in bed. That’s when you get to experience how truly charming this town still is, despite hundreds of thousands of tourists visiting the island every year. While Santorini is unbeatable when it comes to spectacular views, Mykonos wins when it comes to beaches. Kalo Livadi is the largest beach on the island, located on the south side, but only a 20-minute drive from Mikonos Town – the island is compact and easy to explore by car or scooter. Other beaches worth visiting are Ornos, Elia Beach, Agios Ioannis beach, Platis Gialos and Paraga Beach. How to Get There: You can fly from Athens to Mykonos (40 mins), and during the summer months, many European cities offer direct flights as well. If you are island hopping, take the ferry from Santorini (2.5 hours). There are also daily ferry connections from Naxos (45 mins), Ios (1 hr 50 mins), Santorini (2 hrs 40 mins) and Crete (about 4 hrs 30 mins). Where to stay: Mykonos Town is the happening place, but beware that in addition to all the tourists staying there, you’ll have to deal with the cruise ship crowds that arrive on a daily basis during high season. If crowds and noise into the wee hours of the morning aren’t your thing, you might want to stay on one of the beaches instead, for example Agios Stefanos or Ornos. 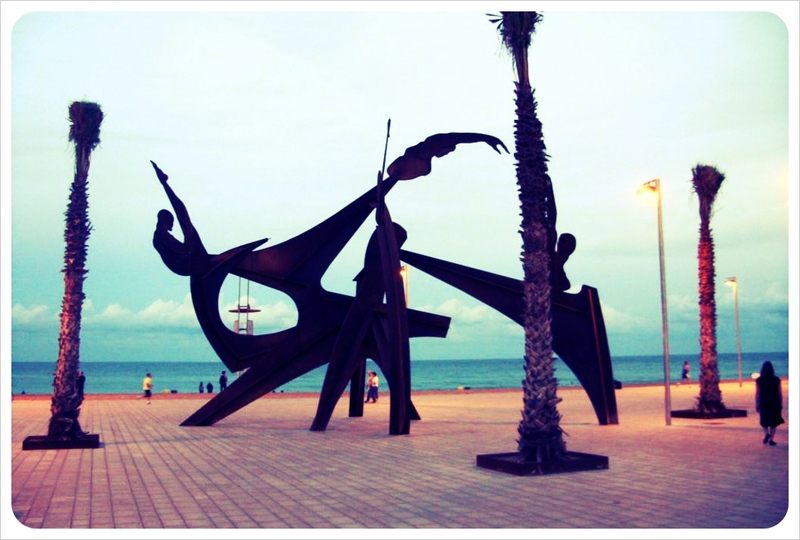 Super Paradise and Elia are the most popular gay beaches. Ano Mera, a small village seven kilometers from Mykonos Town, is the best place to stay to get a true feel for traditional Greek island life. What to know: If you’re looking for a good day-time party, head to Super Paradise Beach. If you’re not into partying, skip Mykonos in July and August. Lonely Planet has an excellent guide to Mykonos for first-timers. Kos is located further southeast in the Aegean Sea, not far from the Turkish coast, and after Rhodes the second most popular of the Dodecanese island group. Kos is known for its stunning 112-kilometer-long coast line that boasts around 20 serene beaches. The most significant landmark on the island are the ruins of the Asklepion, which were healing temples in ancient Greece. Kos Town is the most touristy town on the island with plenty of bars, restaurants, shops and hotels, but the other villages on the island have places to stay and tavernas to drink and eat as well. How to get there: There are regular flights from Athens to Kos, and during the summer months also direct connections to several European cities. If you want to island hop, there is a ferry service from Santorini to Kos (4.5 hours), but it only runs twice a week, so plan accordingly. Where to stay: Kos is home to a number of beautiful little villages, such as Kardamena, Antimachia, Pyli, Marmari, Tingaki, Kefalos, Mastihari and Zia. It’s up to you if you want to stay on the coast or in one of the typical Greek villages in the center of the island. There are plenty of hotels all over the island, including several upscale all-inclusive resorts right by the ocean, such as the Akti Palace near Kardamena. What to know: Kos is a relatively flat island, which makes it perfect for cycling. If you enjoy a good, scenic bike ride, this is your island! If you are looking to experience authentic rural Greek life, you will adore Naxos. This island has gorgeous beaches, interesting ruins and ancient cities, and dozens of traditional villages – 46 to be precise. You can simply spend your days driving around the islands, stopping in one of the villages for a coffee or a beer, wander around the tranquil streets, marvel at the pristine stone churches and spend the rest of the day relaxing on a secluded beach. Not many visitors take the time to actually stop in the villages rather than just pass through them, which is why most of them still feel completely untouched by tourism. How to get there: You can fly from Athens (40 mins) or arrive by ferry from Paros (25- 45 mins), Mykonos (45 mins), or Santorini (2 hrs). Where to stay: Naxos, the main town, is a popular base for visitors, as are the western beaches, like Plaka, Agia Anna and Agios Prokopios. What to know: Don’t miss Naxos’ Temple of Apollo: Portara. The giant marble gate and only remaining part of an unfinished temple of Apollo that dates back to 530 BC. Also worth visiting is the temple of Demeter just outside the village of Sangri which was builti n the 6th century BC. The village of Kinidaros has the best bakery on the island, Chalki has the best artisanal jam. At the Vallindras distillery in Halki you can try the local citron liquor kitron. Milos’ claim to fame is the statue of Aphrodite, also known as the Venus De Milo, which can be found in the Louvre Museum. While the island might have lost its most famous inhabitant, it is still home to 70 (!) scenic beaches and a coastline that is swoon-worthy in many parts. Don’t miss the unique cliff structures at Sarakiniko Beach, the crystal clear waters at Kleftiko Beach, the narrow swimming hole at Papagragas Beach, Sikia Cave (only accessible from the sea) and the remote Agathia Beach. You can spend a week here visiting three beaches every day and still only see a small portion of the island’s diverse beach-scapes, which range from golden sand to black sand, from rocky to shell beaches, from long-stretched bays to tiny coves, from turquoise to cobalt blue waters. Milos is still a bit under the radar, which means you have to share these lovely beaches with considerably less visitors than some of the more famous neighboring islands. How to get there: There are ferries between Milos and Santorini (2.5 hours), Milos and Folegandros (1 hour), Milos and Naxos (around 4 hours). Where to stay: Adamas is the busiest settlement and port of Milos, with a nice promenade and many hotels and restaurants. 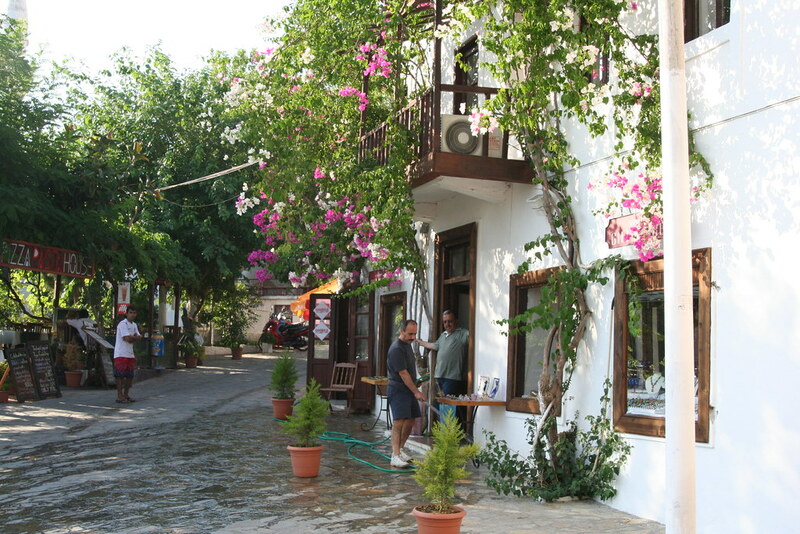 Pollenia is a smaller fishing village, quieter than Adamas but still with many restaurants and amenities. Plaka offers a picture-perfect Greek village and the best sunsets on the island. What to know: Don’t miss Paliochori (three beaches with colorful rock fromations and sea water that is heated by underwater mineral springs in various places), the distinctive white volcanic rock at Sarakiniko Beach, and the sea cave of Papagragas with its crystalline waters. The sunset in the quaint village of Plaka is often compared to Santorini’s famous sunsets. The villages of Klima and Tripitis are also worth a visit. Folegandros means ‘iron hard’ – and looking at this barren island where you find barely any trees it is easy to see where the name comes from. Folegandros is often compared to Santorini, because just like on the most popular Cycladian island, you find villages with whitewashed houses and bright blue doors here, and stunning vistas over the azure blue Mediterranean. The reason Folegandros isn’t overrun with tourists yet is that it is harder to get here – no direct flights, and ferries aren’t as frequent as on the more popular Greek islands. If solitude, an island off the tourist path, and traditional villages are what you are looking for, Folegandros is for you. Chora, the main village on the island, offers plenty of opportunities to just sit and watch the world go by – in one of the three squares, one of the many tavernas, or one of the many cafes. 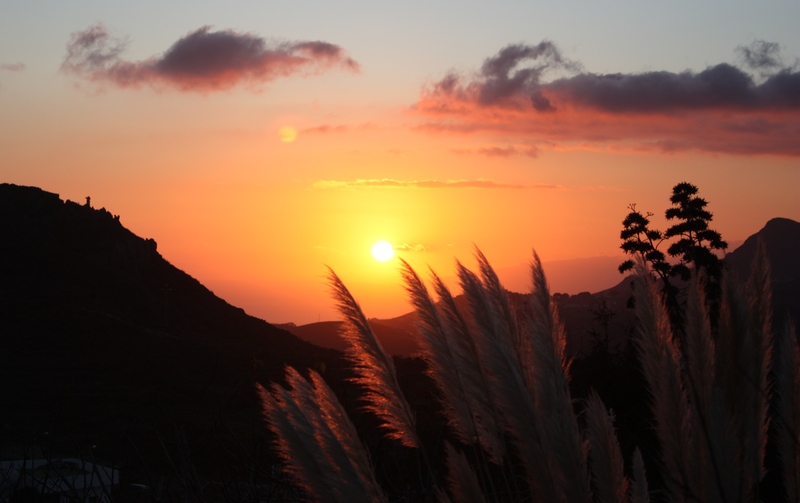 For a spectacular photo opportunity, head up to Panagia church for sunrise or sunset. Where to stay: Chora, the main settlement on Folegandros, is the best place to stay because it has lots of bars, cafés and restaurants. The quieter port village of Karavostasis also has a few hotels and vacation rentals. What to know: Don’t expect sandy beaches here – most of the beaches are rocky and pebbly, and reached by walking down rocky footpaths. 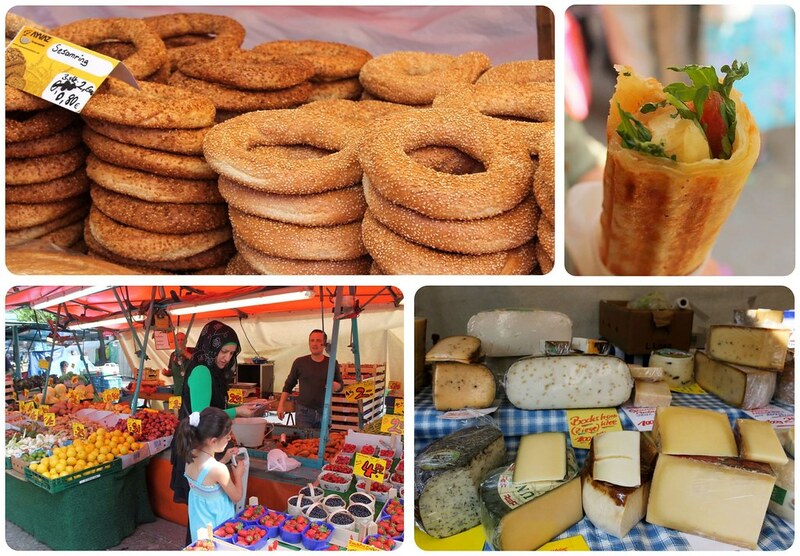 Ambeli, Livadaki and Katergo shouldn’t be missed. Angali beach and bay is also worth a visit. The D-Day beaches are one of the most popular day trips from Paris, especially for Americans, Brits and Canadians whose parents or grandparents fought the Germans in World War II. When visiting the Normandy coast these days, it’s almost inconceivable that one of the most important and magnificent operations against the Germans happened here, an accomplishment that would later lead to the successful victory against Hitler’s Nazi regime. Today, you’ll pass by rolling hills, quaint little seaside towns, surrounded by lush green farmland and cattle fields. The beaches themselves are beautiful and tranquil, and it is hard to imagine that thousands of soldiers lost their lives here. However, you cannot escape the memories of D-Day when visiting this part of France – war memorials and monuments mark where the Allies landed, there are remains of bunkers and gun emplacements left by the Germans, and most importantly, there is the Normandy American Cemetery, where 9,387 American soldiers are buried. 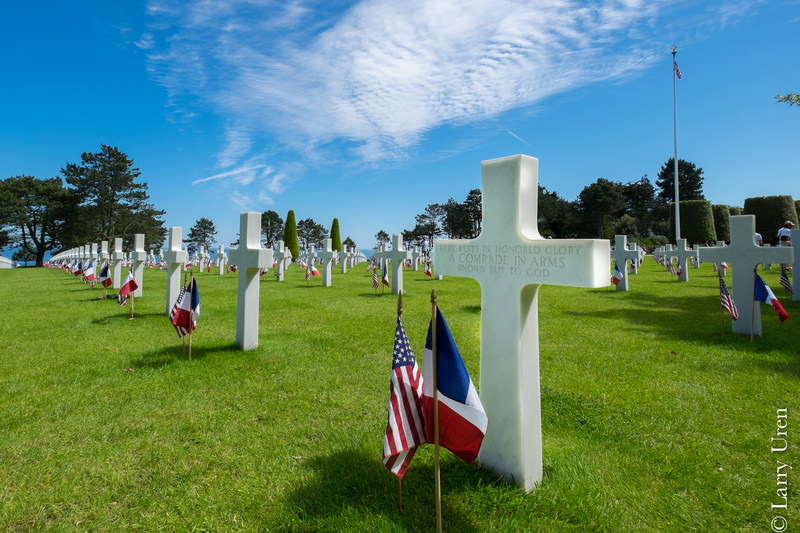 If you are visiting to honor family members who fought or lost their lives there, you may want to try to visit on 6 June, when a number of D-Day anniversary memorials are held. The easiest way to visit the area is with a tour, which usually includes all the beaches plus the Memorial Church in Caen (see below for details). 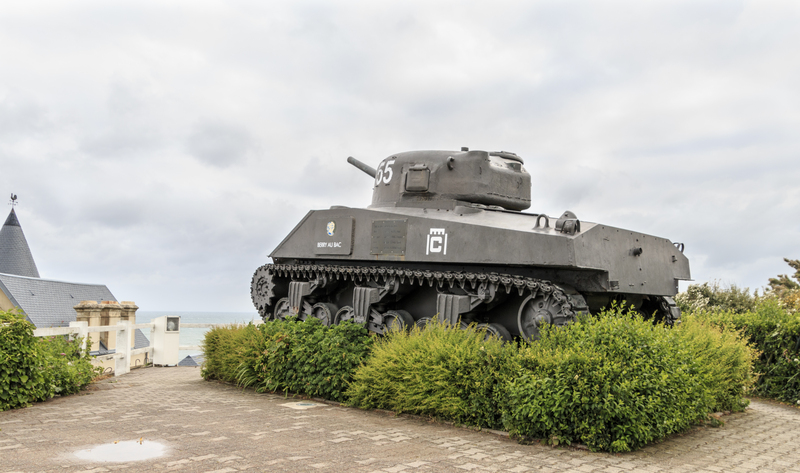 Here is an overview of the main sights you shouldn’t miss when visiting the D-Day beaches, including all five beaches, which still carry the names given by the Allies in preparation of the operation. The Caen Memorial is the best place to start your tour of the D-Day beaches. The museum was recently renovated, and in addition to detailed information on D-Day and World War II, it has plenty of material on The Battle Of Normandy, The Cold War and the search for peace. The museum at this beach, the Utah Beach Landing Museum, is housed in the remains of a German bunker. Many say that this is the best D-Day museum in the area. In the nearby village of Sainte-Mère-Eglise is the Airborne Museum, which details the aerial operations. Pointe Du Hoc is the highest point between Utah Beach and Omaha Beach, with a 100 feet (30 meter) cliff overlooking the English Channel. The German army had fortified this area with gun pits, bunkers, artillery and concrete casemates. Pointe du Hoc was captured by 225 U.S. rangers on D-Day after scaling the cliffs, and has become a symbol of courage of the American troops. It is one of the most significant memorials along the D-Day coast. Omaha Beach was the stretch of beach with the most intense battles. Memorials and statues line the beach. This is probably where you will be spending the most time of all beaches. The American Cemetery is located right above the beach, and there are two museums: the Omaha Beach Memorial Museum, which showcases personal items of soldiers, weapons and uniforms, and the Omaha D-Day Museum which details the landing on Omaha Beach. The Gun Battery in Longues-sur-Mer between Omaha Beach and Gold Beach has a number of bunkers which were Hitler’s most important points of defense. The Gold Beach invasion was led by the British, and the most important museum here is the America Gold Beach Museum and exhibits details of the landing here as well as the three-engine Fokker America’s first airmail flight from the United States to France. Juno Beach, where the invasion was under Canada’s lead, has the Juno Beach Centre, which outlines the significant role Canada played in the D-Day invasion. Nearby Bény-sur-Mer is home to the Canadian cemetery. Sword Beach is the easternmost of the five D-Day beaches. The operation here happened under British leadership, and there is a museum, the Merville Gun Battery, which details the British Airborne Operations. The nearby Ranville War cemetery is home to 2,235 graves, most of which belong to the 6th Airborne Division. The American Cemetery is one of the largest American war cemeteries and was the first one on European soil established during World War II. With 9,387 lives lost on D-Day and the consequent ensuing operations, it makes visitors realize the magnitude and true scale of this operation and the lives lost during it. 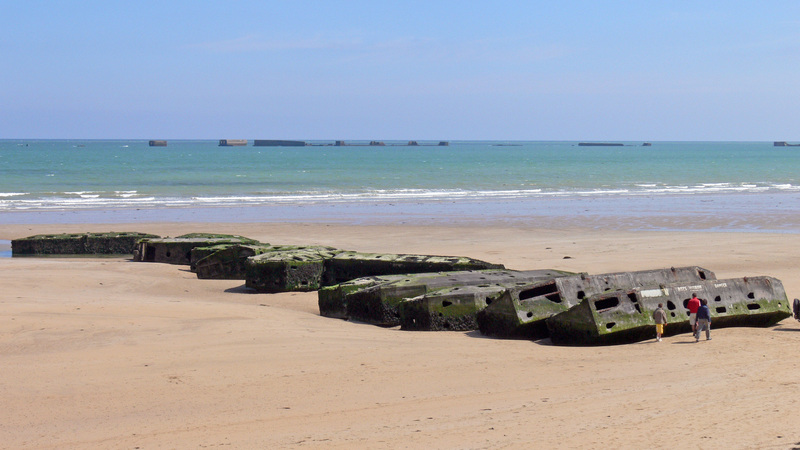 Paris City Vision offers a guided tour of the D-Day beaches from Paris. The trip includes, in addition to the beaches, the Caen Memorial Church, the memorial service, and a delicious lunch. You’ll leave Paris at 7am and will return around 9pm. The advantage of taking a tour is not only that it’ll bring you to all places of interest, but it also includes a knowledgeable guide who will provide background information and historical details. 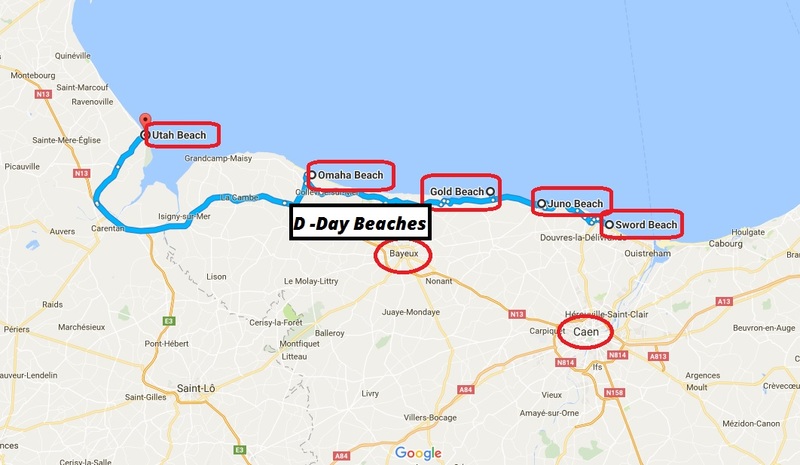 You can also visit the beaches via public transportation – take the train from Paris to Caen and then hop on the local bus that connects the beaches, but be aware that buses aren’t running very often and trying to fit in all beaches, the Memorial and the American cemetery in one day would be quite a challenge. 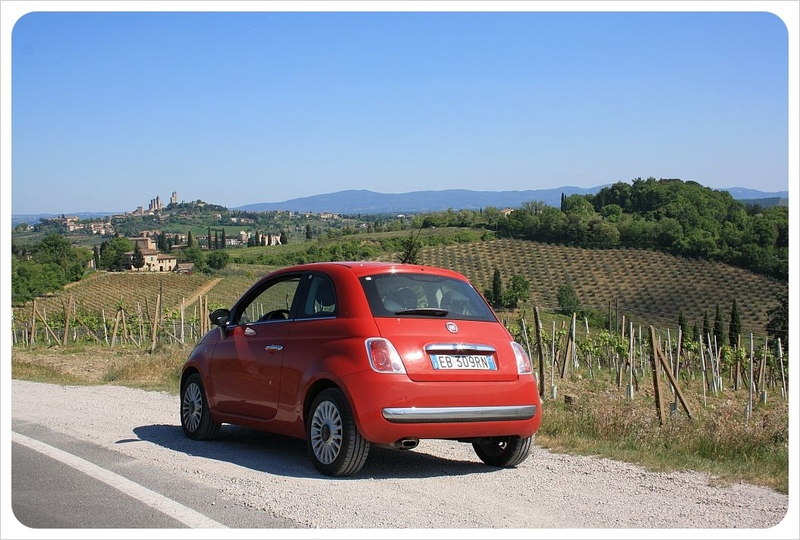 Everybody loves a good road trip, and Europe has more scenic roads than you could cover in a lifetime. Majestic castles in Austria, half-timbered houses in Germany, rolling green hills in England, Alpine landscapes in Switzerland, majestic fjords in Norway, and vineyards lining the country roads as you are driving in France – these are just some of the things that lift my heart and keeps me driving. The Amalfi coast in the south of Italy is the country’s most beautiful stretch of coastline, where quaint terraced villages are spread through the hillsides stunning views of the Mediterranean Sea are around every corner. 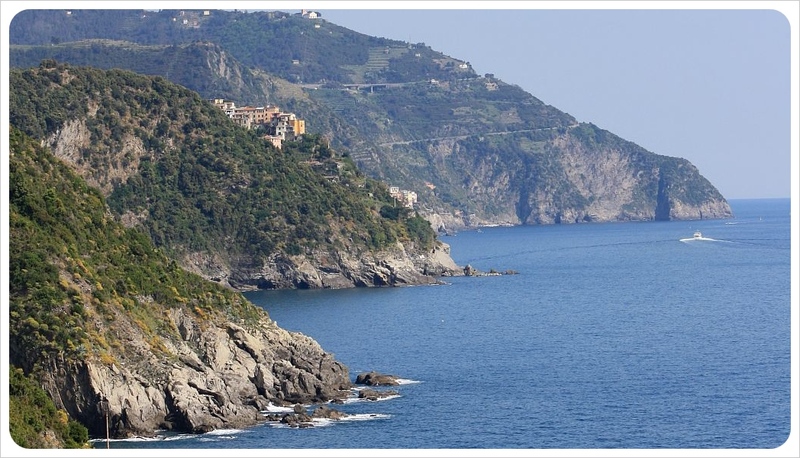 The coast route follows the shoreline from Sorrento in the north to Salerno in the south. Your hearts will pound as you hug the road past steep cliffs, and soar when you pass the many vineyards where you may wish to stop and spend a few days. The four main towns on the Amalfi Coast are Sorrento, Positano, Amalfi and Ravello, and stops in all of them are essential! Best time for a road trip: March to May, when Spring is in full bloom and the summer tourist season has not yet begun. Level of difficulty: It is a beautiful drive, but challenging. Drivers should be confident on winding, narrow roads. Scotland’s Highlands are unlike anywhere in the world and a Highland road trip covers some of the most spectacular places in the UK. I recommend a loop, starting your trip in Glasgow and finishing in Edinburgh, heading north through the mountains and locks that make the Highlands so famous, and then heading back down to the Scottish capital. Start in Glasgow and head to Loch Lomond before continuing north to the small outpost of Fort William from there. Here you can hike the mighty Ben Nevis, the highest mountain of the British Isles, or head west towards Mallaig with a stop at the picturesque Loch Shiel. From Mallaig, take the car ferry over to the Isle of Skye, and head back to the mainland via the Skye Bridge. Fro here it is a short drive to fairytale-esque Eileen Donan Castle. Depending on how much time you have left, I recommend driving further north to the fishing town of Ullapool and the little village of Lochinver, with its white-sand beaches. Otherwise drive straight east towards Fort Augustus, which is the perfect base to explore Loch Ness. Drive along the Loch to the quaint town of Inverness and take the scenic route via Pitlochry to Edinburgh, and you will see most of the iconic Scottish landmarks like the Lochs, Whiskey distilleries and Highland cows. Level of difficulty: Roads are narrow and driving is on the left – drivers should be experienced and confident. The Romantic Road in the south of Germany offers some of the most stunning scenery of the country. Driving from Würzburg to the foothills of the Alps near Neuschwanstein Castle, you will pass sweeping views, ancient cathedrals and castles, castles, castles. You will drive through the pretty Tauber Valley before you arrive in Rothenburg ob der Tauber, which dates back to the 13th century with medieval streets and thick city walls – doubtlessly the pearl of the Romantic Road! Other highlights include the gorgeous town of Nördlingen, Augsburg with its stunning cathedral, Hohenschwangau with its jaw-droppingly beautiful Neuschwanstein Castle and Hohenschwangau Castle and the nearby historic town of Füssen. If you have more time, you can drive up to Munich from here and end your road trip in one of Germany’s most traditional cities. Don’t forget to pack your lederhosen! Best time for a road trip: Spring or summer, but fall is also a beautiful time to visit. Level of difficulty: The road is fairly easy to navigate, though it can get narrow at times. This road trip is the ideal way to combine a trip to Paris with an additional few days to explore the idyllic French countryside. I would recommend starting in Paris and driving through Chartres, Le Mans, Rennes, Caen, Rouen and then circling back to Paris. Just outside of the city, stop in Versailles to see Napoleon’s remarkable palace, and then move on to Chartres, home to a UNESCO World Heritage cathedral, before exploring Renne, which still has plenty of well-maintained wood-edifice buildings typical for that area of France. North of Rennes is the spectacular Le Mont-St.-Michel, a rocky island set in the English Channel, just off the coast, that is almost entirely inhabited by the medieval Benedictine Abbey and church – not to be missed! Rouen is home to the extraordinary cathedral made famous by Monet’s painting, and makes for a fabulous last stop on this French road trip. Level of difficulty: All roads on this trip are easy to navigate. Southern Ireland has some of the most spectacular scenery in the country, especially along the coast. Our Southern Ireland road trip starts in Dublin and brings you to Kilkenny, Cork, Limerick and Galway, and ends back in Dublin. This road trip is the perfect way to get to know the culture, landscape and history of Ireland, passing impressive castles as well as picturesque Irish villages. Some of the highlights of this road trip are County Kerry, which has a rugged coastline and tall mountains, and is especially famous for the Ring of Kerry, a circular road that follows a trace of coastline of mountainous fingers jutting out into the ocean. The infamous Cliffs of Moher, which tower 700 feet above the ocean, are another highlight of this trip. Level of difficulty: Left side driving and narrow roads. Not for novices. 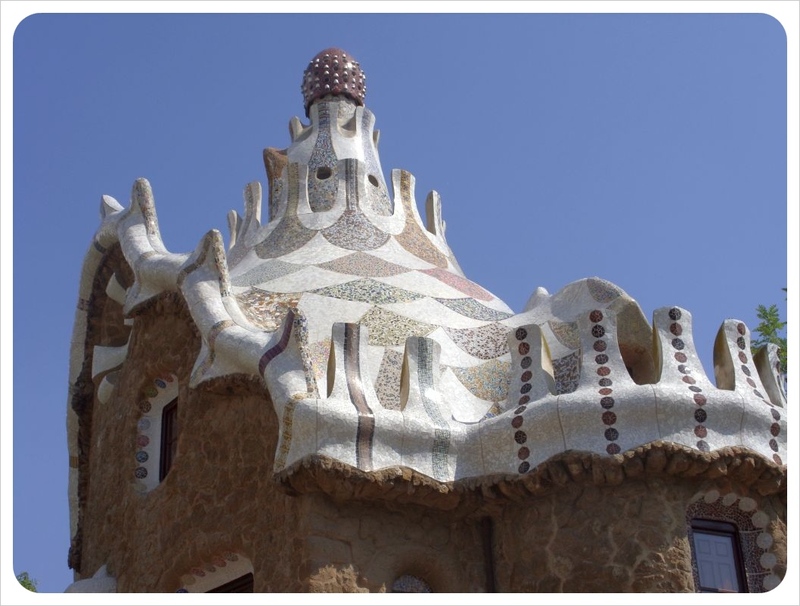 You could book Barcelona city breaks for every month of the year, and still be stumbling upon new bucket list experiences every time you arrive in the city. And it’s all about the stumble; Barcelona is better experienced than planned. One day you might find yourself swaying to the impeccable improv in vaulted jazz enclave Jamboree, the next crunching into greasy, sugary churros outside the Sagrada. You might stop for a moment to watch a heated game of table tennis in the Parc de la Ciutadella, then turn a corner to discover the breathtaking Cascada fountain. Barcelona defies organization, which makes it the perfect live-for-the-moment getaway. The perfect destination for old romantics, Paris is a fine place to contemplate one’s transience, preferably in a pretentious and overpriced cafe in the Latin Quarter, while scribbling into a battered journal, puffing Gauloises. There are so many iconic cafes in which to sultrily sip espresso, and so little time. 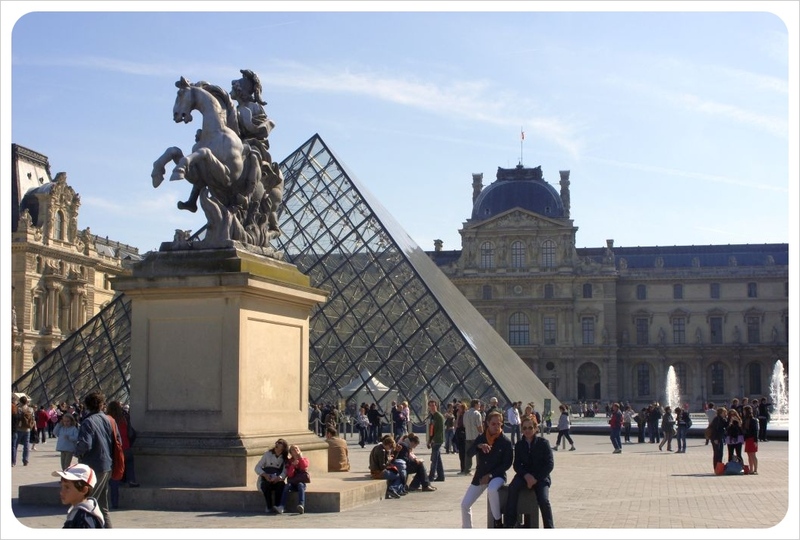 For those who prefer to shun cliché, there is always the back-up plan: a whistle-stop tour of such tourist-thronged wonders as the Eiffel Tower, Louvre, Notre Dame and Versailles. You will queue half your life away, of course, but it will be worth it. A laid back attitude is what continues to charm visitors to Amsterdam, though its inclusion in recent teen-angst blockbuster The Fault in our Stars should prove further testimony to its bucket-list viability. Fortunately, remembering to ride a bike is just that; and winding your way along canal banks and seventeenth century buildings will make you feel like a local. Vermeer, Rembrant and Van Gogh will lure you to spend hours in gentle contemplation of their artistry, as will the bartenders dishing out excellent, frothing pints of Heineken and craft beer. Of course, this barely scrapes the surface. Who could elide the continent-straddling Istanbul, the majesty of Vienna, or the pounding techno clubs of Berlin? The seven hills of Rome beg attention, as do the rainbow buildings of Copenhagen’s harbour. Bucket lists aside, every adventure should be enjoyed as if it’s your last. Make this your travel philosophy, and you’ll go far. Thousands of tourists flock to the seven Canary Islands archipelago every year to enjoy the sun, sea and sand. Here’s what each island has to offer. Tenerife is the largest of the Canary Islands with almost guaranteed year round sunshine and a diverse terrain of dramatic mountains and beautiful beaches. Las Cañadas del Teide, a natural crater, is a National Park that lies 2,000m above sea level and north of the crater stands El Pico del Teide, a 3,718m mountain, is the highest peak in Spain. 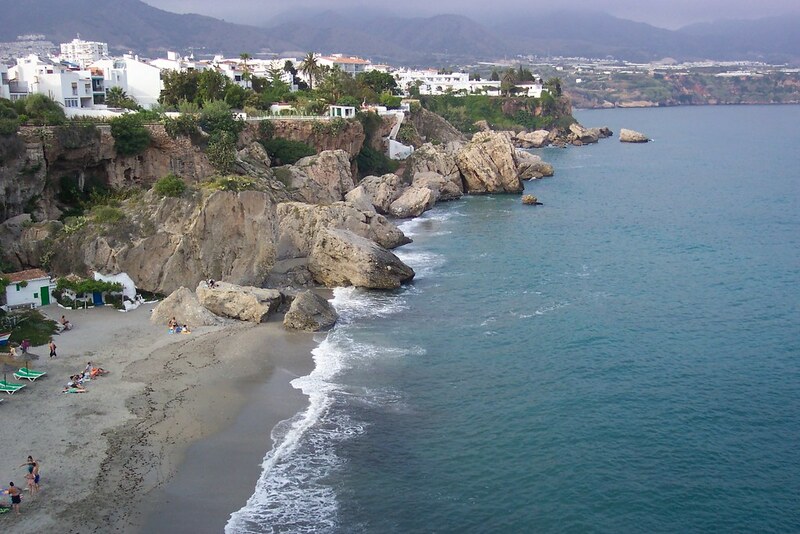 Most families and couples travel to the resort of Playa de las Americas while surfers prefer the resort of El Médano. Flights to Tenerife, including national and international, fly to Tenerife South Airport and Tenerife North, so finding a flight should be a breeze. Small in size but big on beauty, La Palma is also known as La Isla Bonita or ‘The Pretty Island’At the bottom of the island you will find Fuencaliente, where there are two volcanoes – Volcán San Antonio and Volcán Teneguía. The Fuencaliente Volcano Route offers different options for all levels of walkers. If you’re a wine lover, don’t miss Malvasia, the white dessert wine from the south of La Palma. The three thousand hours of sunshine a year and the endless stretches of untouched beaches of white sand are found on the second smallest Canary Island. Fuerteventura is also well-known as a waterspouts paradise! Surfers, windsurfers and kitesurfers come here to glide out on a surf board or windsurf and take advantage of the wind and waters. A holiday favourite, Lanzarote is the fourth largest island of the Canary Islands. 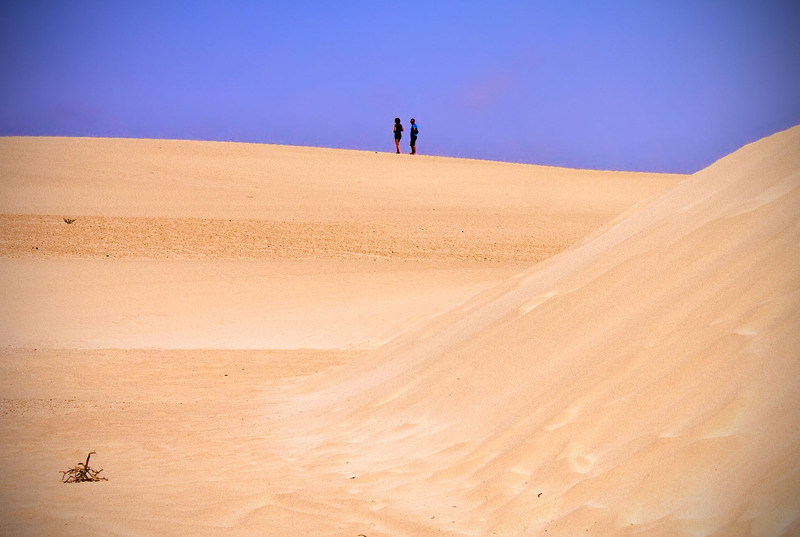 Lanzarote has many alluring white beaches such as Papagayo and Playa Blanca. One stunning feature of Lanzarote is Atlantida Tunnel, the longest volcanic tunnel in the world Another tourist attraction is the sculptures and architecture designed by the internationally renowned artist, architect and environmentalist César Manrique. Some of his unique public arts include Jameos del Agua, the César Manrique Foundation, Mirador del Rio and Cactus Garden. 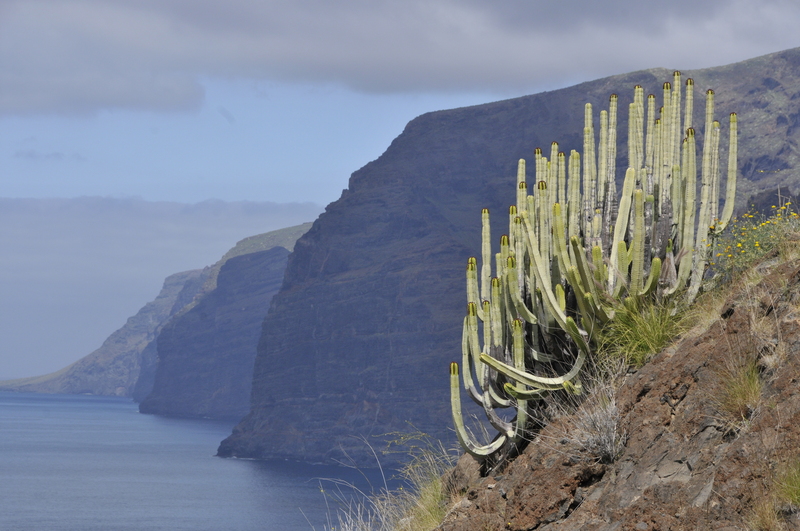 Gran Canaria is rich in nature and biodiversity, with the island being awarded the Biosphere Reserve label by UNESCO for its effort in supporting the conservation of the diverse archipelago. The coastline is home to the loggerhead turtle, the bottlenose dolphin and Risso’s dolphin. The fine weather, strong wind and stunning coastline make it an excellent place for kitesurfing and windsurfing. Measuring less than 50km from one end to the other, El Hierro is the smallest of the seven Canary Islands. El Hierro has more than 800 volcanoes, making it the Canary Island with the densest concentration of volcanoes! El Hierro also has an outstanding biodiversity, with almost 100km of rugged, cliff-lined coastline and coves and lagoons. Lovers of diving and snorkeling go there for the clear, deep waters. 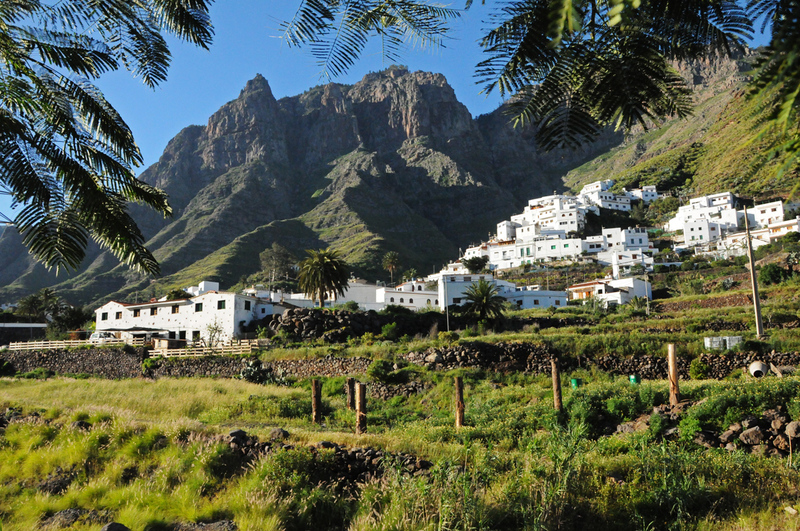 About 50km south-west of El Hierro is La Gomera, also known to many as the Canary Island’s “magical island”. The Garajonay National Park, a vast unspoilt rainforest, was declared a World Heritage Site by UNESCO in 1986. Go within the dense vegetation of laurisilva tree to watch the sea of clouds (horizontal rain! ), an atmospheric phenomenon caused by winds blowing in from the sea. The beaches and coves in La Gomera are blessed with black sands and crystal clear water. The seven different and unique Canary Islands are the best places to enjoy an amazing holiday at any time of the year. Today’s guest post takes us to Prague, one of our favorite cities in Eastern Europe! We haven’t been there in many years but after reading this article, we’re ready to return to Prague and to explore neighborhoods and sights we haven’t visited yet – particularly focusing on Kafka, one of the most remarkable German-language writers of the 20th century. 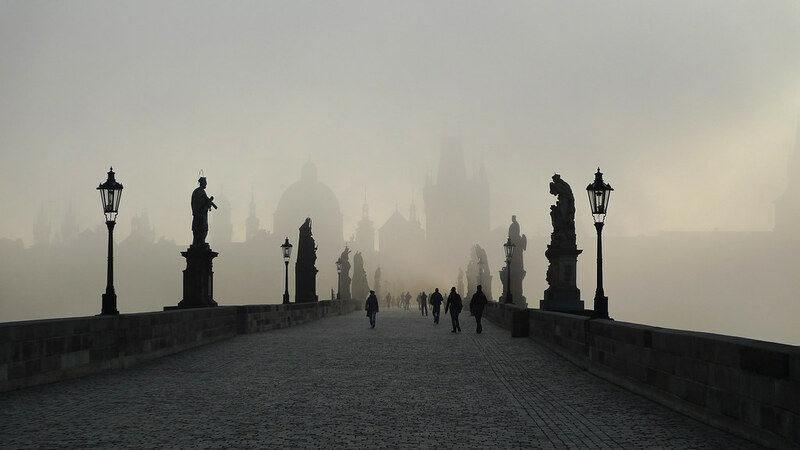 Our guest writer Olivia Herriot shares with us some of Prague’s Kafkaesque sights. Olivia is based in the UK and spends her time juggling a part-time office job with freelance travel writing. She is currently planning a working trip around Russia. Born in Prague, Austria-Hungary in 1883, Franz Kafka went on to become one of the most influential authors of the 20th Century. His existentialist themes have inspired a number of great writers, from Camus to Borges, Jean-Paul Sartre to J.D. Salinger, and it’s pretty much impossible to talk about any dystopian literature without throwing around the term ‘Kafkaesque’. For fans of Kafka’s work, one of the best ways to understand the man behind the words is to tour the old haunts around his native Prague. 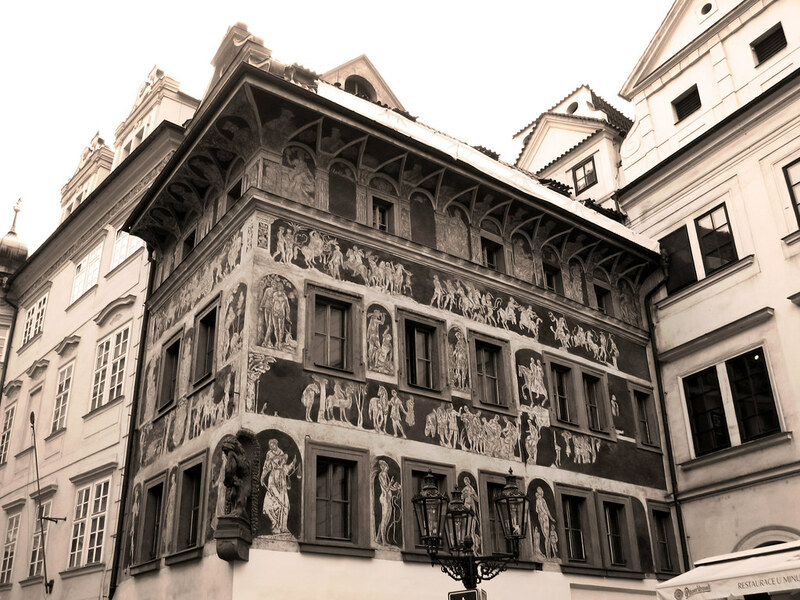 Visit the house where Franz Kafka was born. The site, called Náměstí Franze Kafky, is situated in the city’s Old Town, at Ul. Radnice 5. Although the doorway is the only remaining part of the original building where Kafka was born, there’s a unique monument standing outside (the ultimate photo-op for Kafka fans). Get to know more about the brilliant author in this museum, dedicated to sharing his fascinating life story. With photos, original letters, early publications and newspaper clippings from Kafka’s time in Prague, the museum paints a vivid picture of Franz Kafka and the city he called home. Kafka’s heritage as a German-speaking Jew living in Prague undoubtedly influenced his writings. For further insight into Kafka’s life, visit the Old-New Synagogue where he had his bar mitzvah. Built in 1270, the gothic structure is also the oldest active synagogue in Europe. Situated outside the tourist area of Prague, the New Jewish Cemetery is the site of Kafka’s final resting place. Whilst it’s possible to visit Kafka’s grave during any time of the year, the most popular time to pay respects is on 3 June, the anniversary of his death. Out of Prague’s main, central city squares, Wenceslas Square was where Kafka worked from 1906 to 1907. It was in a building on the corner of Jindřišská that Kafka took up the role of an office clerk for an insurance company. The square, which is named after the patron saint of Bohemia, St. Wenceslas, continues to be one of the city’s main business districts. Kafka wasn’t the only famous face to have been seen enjoying a meal in this Old Town cafe. Albert Einstein is also known to have visited it on occasion. The cafe was first opened in 1902 and, after its reopening in 1992, it continues to be a popular local hangout. 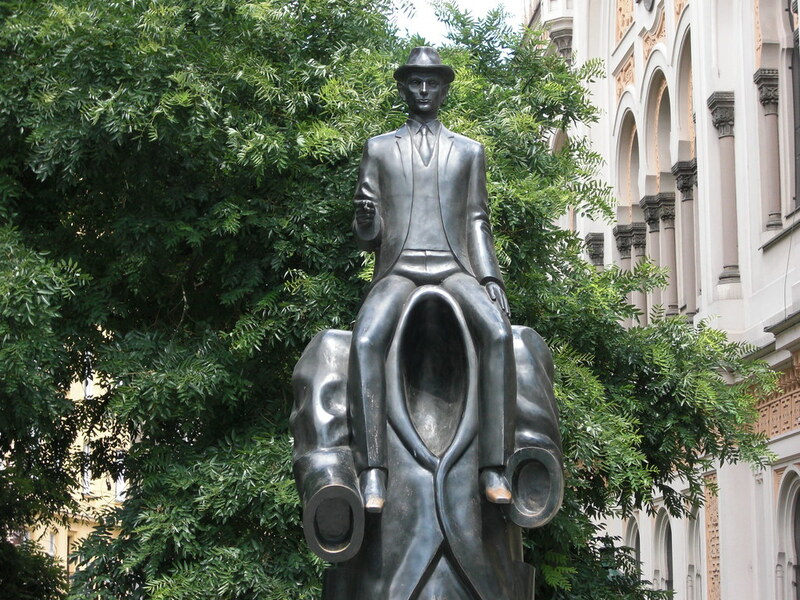 For fans of Franz Kafka, or literature in general, touring Kafka’s Prague is a particularly interesting way to view the city. Rather than picking up a generic guidebook, why not let the city’s most famous ‘local’ be your tour guide? Images by Jan Fidler, Pablo Sanchez, Sébastien Bertrand and Roman Boed used under creative commons license. While most people only visit Istanbul, Ephesus, Pamukkale and Capadoccia when traveling through Turkey, the region that deserves a whole 2-week vacation on its own is Lycia, the westernmost section of Turkey’s Mediterranean coast line. Inland, Lycia’s pine tree covered mountains and forests are a hikers paradise, but the coastline of Lycia is the true star here. The region is also known as the Turquoise Coast, due to the crystal clear turquoise water of this stretch of the Mediterranean. This area is also known for the ancient Lycian civilization, whose remnants can be seen throughout the U-shaped peninsula in the form of rock tombs and city ruins. What makes Lycia so attractive in addition to its natural beauty and extraordinary coastline is the fact that it is a place that doesn’t cater only to all-inclusive tourists, but also to independent travelers. Of course you can still book vacation packages which include your flight to Dalaman (the regional airport), transport to the town of your choice and your hotel. But if you want to give independent travel a try in Turkey, you can easily arrange your own vacation. There are plenty of locally-run guesthouses, not just all-inclusive resorts. You could even spend a walking vacation here, following the ancient Lycian Way, a 510 kilometers long footpath which goes from Ölüdeniz (a small town near the region’s largest city Fethiye) to Hisarcandir (about 20 kilometers from Antalya). Just choose the section of the path that sounds most interesting to you and stop to sleep in one of the gorgeous coastal towns along the way for the night, before continuing your journey the next morning. 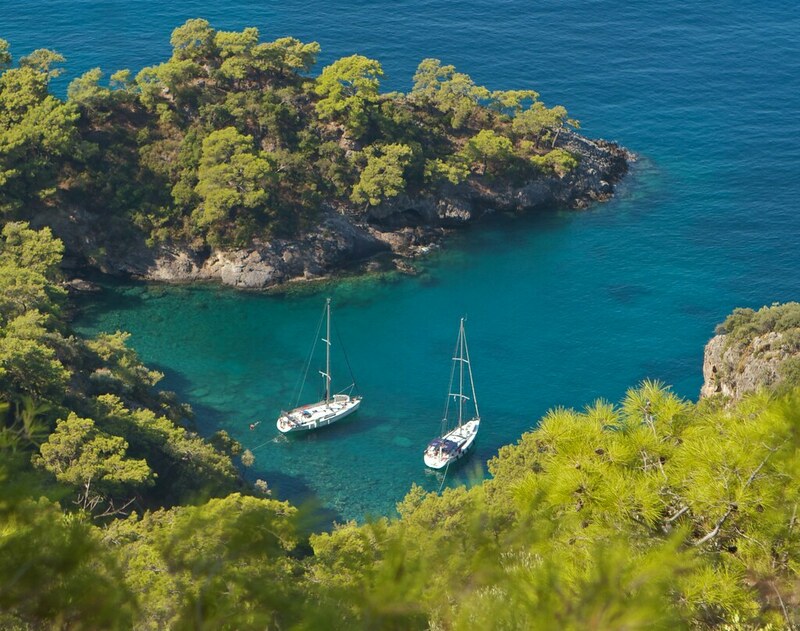 Another way to explore Lycia’s magnificent coast is by yacht. The Turquoise Coast is famous for its Blue Voyage (Mavi Yolculuk), a two-week cruise on a gullet, the region’s typical two-masted wooden boats, during which you will sail from cove to cove along the coast. Choosing the Blue Voyage allows you to just jump into the warm Mediterranean waters wherever your boat drops anchor. Nothing beats seeing the sun rise and set from the boat, with the pine-covered mountains as a backdrop, and stopping for pleasant strolls in the fishing villages along the way. Good starting points for the Blue Voyage are Fethiye, Kas, or even Bodrum, in the Aegean Region. Fethiye: The biggest city in the region, with stunning Lycian ruins, a pretty old town and a gorgeous coastline. Marmaris: Along with Fethiye the biggest and most touristy town in the region (with lots of nice resorts). Kalkan: Another coastal town, famous for its whitewashed Mediterranean houses. Kas: Coastal town with beautiful traditional architecture. Ölüdeniz: Located in the Blue Lagoon of the Turquoise Coast, with fantastic beaches. Olympos: The hippie and backpacker destination of the region. 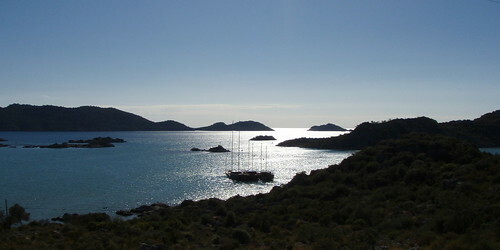 Göcek: Located on a tip of a bay with many secluded coves and islands, this is a paradise for yachters. The easiest way to get to any of the cities in Lycia is to fly into Dalaman airport, which is close to all of the above mentioned towns. Summer is packed with European tourists, so you could opt to visit in May or early June to have the coast almost to yourself, though the water is not warm enough to swim yet. That’s why a September or early October visit, just before most guesthouses close down for the winter, is best: you’ll be able to enjoy the warm water of the Mediterranean, less tourists and off-season prices on hotels or the Blue Voyage yachts. That’s right. We said it. You really shouldn’t go to Berlin. Why would you? 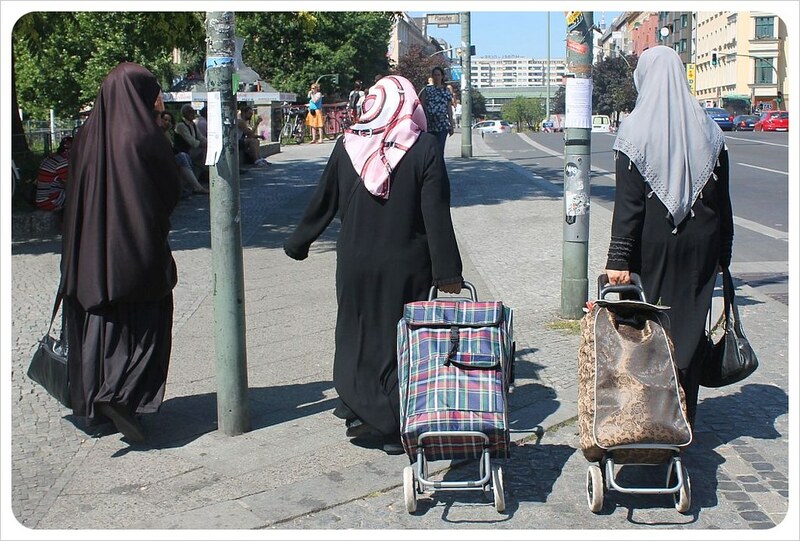 The Germans themselves will tell you Berlin is dirty, crowded, infested with foreigners and low-life unemployed lazies leeching off the social system the rest of the country pays for. And believe us, the locals don’t want you there either. Talk of neighborhood gentrification and skyrocketing rental prices is what you’ll hear them talk about. The funny this is, if locals are having a conversation, it is most likely taking place in English, not German. ‘Locals’ are just the hodge podge mix of expats who got here before you from around the world. We heard English everywhere. 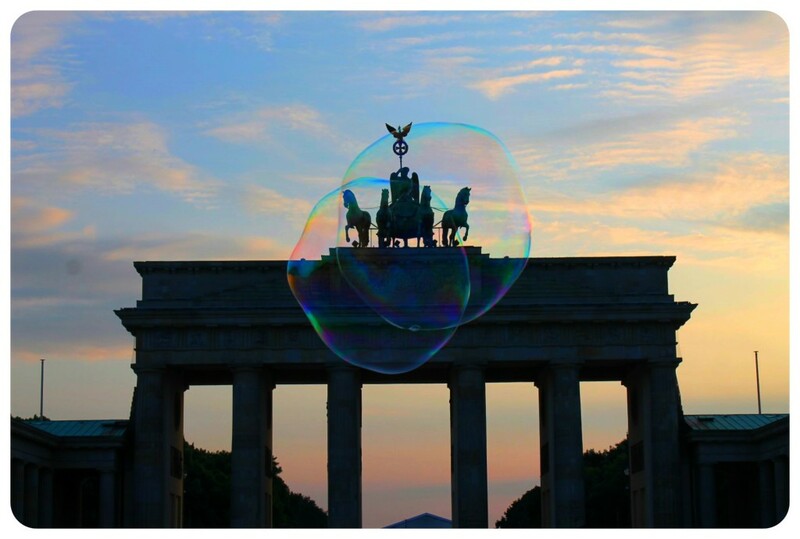 Expats and foreigners of all kinds have always felt at home in Berlin. After WWII, Turkish immigrants came to West Berlin as extra labor to help construct the wall, while East Berlin welcomed their fellow communist Vietnamese comrades to work. 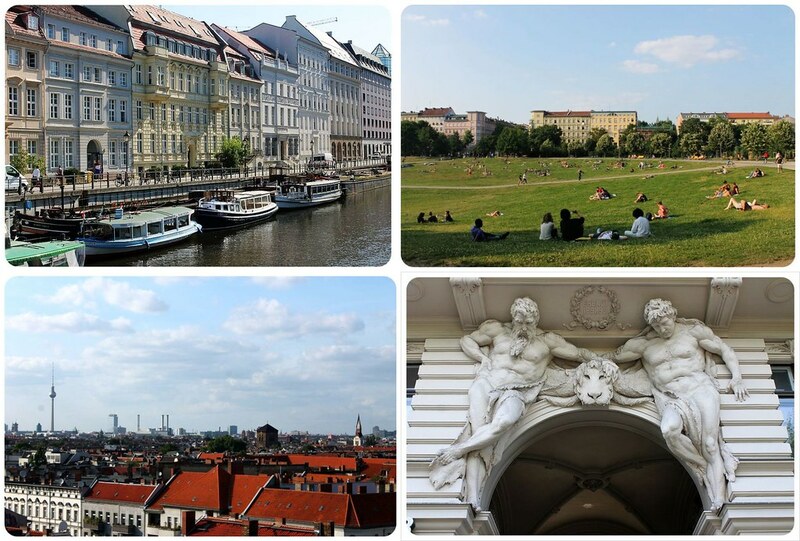 Today, those two communities are very large and integrated into Berlin’s fabric. The German capital has always been a haven for creatives from across Europe and beyond. When the war ended, West Berliners were exempt from otherwise mandatory military service. This drew Social activists, pacifists, anarchists, musicians and artists in droves – the latter two even received state subsidies to support their projects. The post-war culture laid the groundwork for what has easily become the least German German city. There is a state of controlled chaos in Berlin, yet it is a chaos so controlled it could only exist in Germany. At first glance, or even after five weeks, it would appear that half the city is unemployed. This is judging by the number of people sipping coffee at sidewalk cafes all afternoon long or spending the day grilling in the park or drinking wine well past sunset on riverbanks and other green spaces around town. Berlin is, in fact, one of the greenest cities we have ever spent time in. And yet nothing ever seems to get out of control with all this free time and even more free space despite the fact that many locals walk around in some degree of altered state. It is a mystery why things stay on such an even keel, especially since there is hardly ever a police officer in sight. The German capital moved to Bonn after the war, leaving much of Berlin leveled. Lack of development and investment in the city throughout the following decades is what kept it so green. 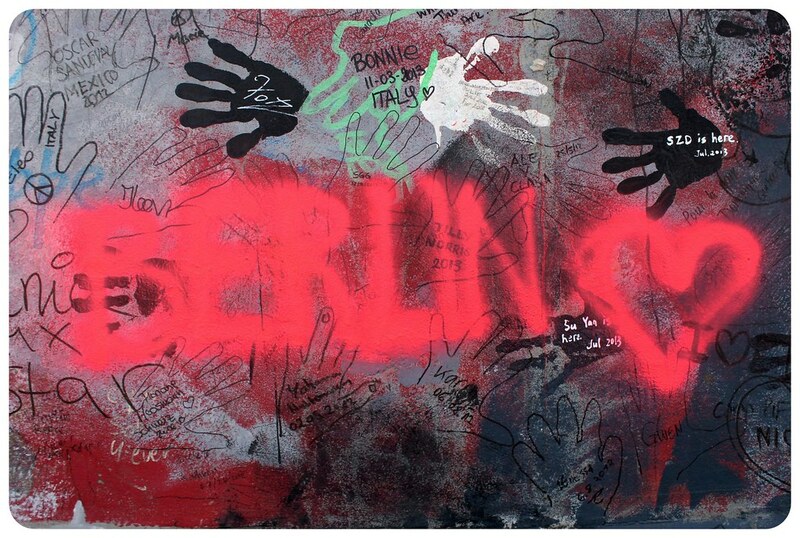 Upon re-unification, Berlin regained capital status in 1991, though offices only really moved back in 1999. Still today, many government officials work from offices in Bonn. This explains how in the capital of one of the world’s mightiest economies, you’d have to really search for someone wearing a suit. 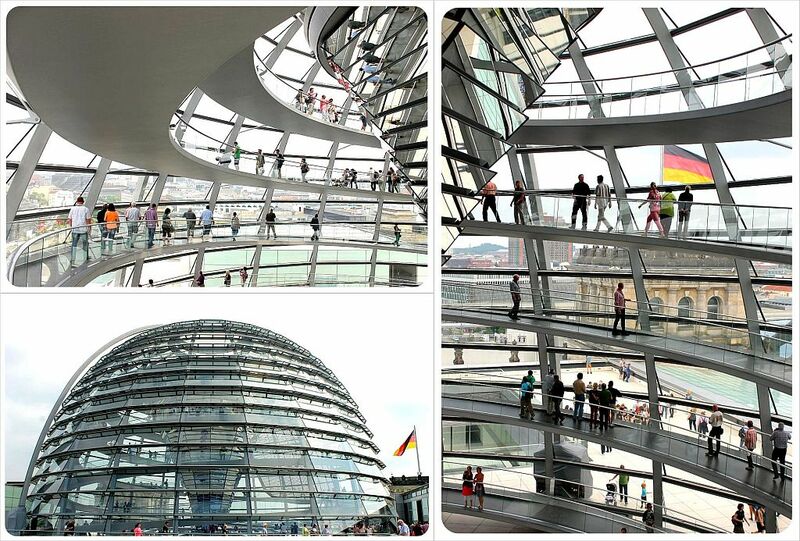 The Reichstag, home of the German parliament, therefore a rare ‘buttoned up’ place in Berlin. The lack of investment met with limited major industry is partially what has kept much of the population underemployed and created some of the characteristic Berlin grit. Now, this is grit by German standards, of course. 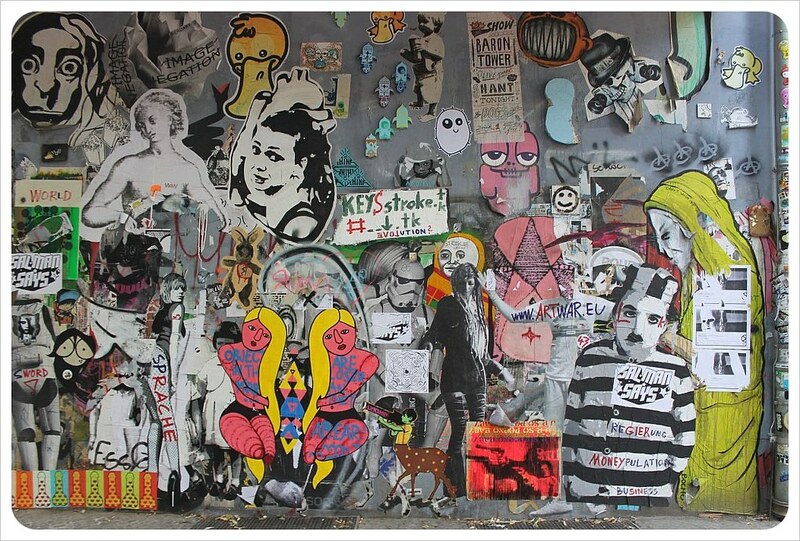 Compared to New York or Bangkok, Berlin is downright tidy. And with food, drinks and over cost of living expenses so low, we often did compare Berlin to Bangkok. Our rent for five weeks was only $200 more than what we paid in Thailand and our average meal was $6 a plate. Lunch is usually around €5. 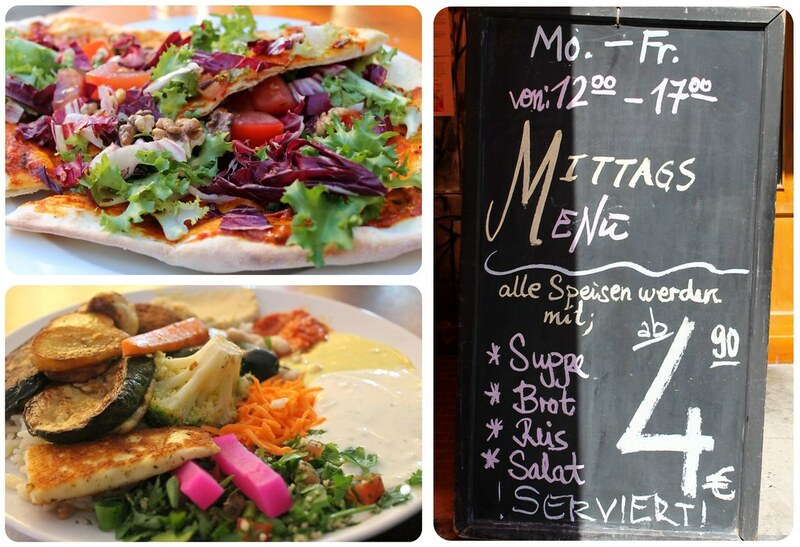 The special on the right includes soup, bread, rice, salad and a main course for €4.90. So Berlin is green, and cheap, and populated with bon vivants. But there is a serious, sad side to the city that is impossible to overlook. 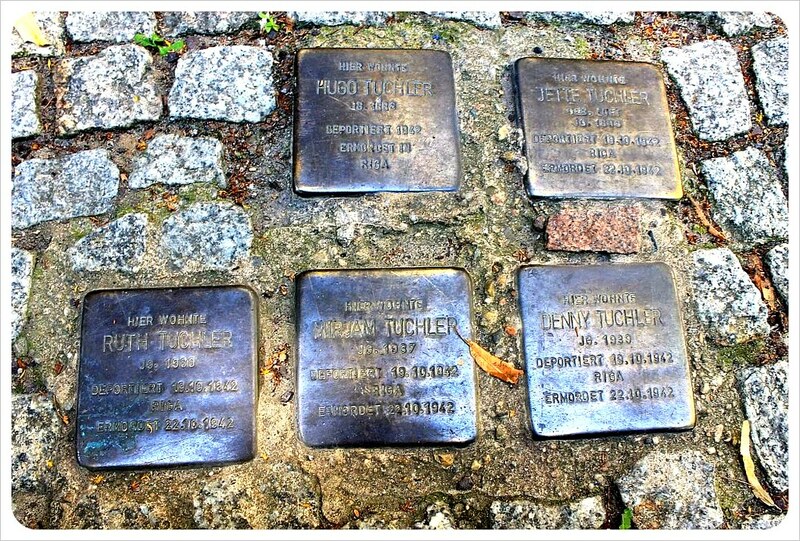 Every single cobblestone you stumble on is connected to history, starting quite literally, with the Stolpersteine, or ‘stumble stones’ – 5,000 gold plated memorial stones on sidewalks in front of homes of Jewish and other people who lost their lives in concentration camps. There are 38,000 of these now all around Europe, but Berlin is home to one of the largest concentrations of them. ‘Stolpersteine’ have the name of the person, when they were deported, and when and where they were killed. Look closely at some buildings on either side of what was the Berlin Wall, and you’ll see plaques marking where escape tunnels were dug under the Wall over the years. There is a constant feeling in Berlin that you are somewhere that really matters, a major player in world history. Just imagine what the streets of the city have witnessed from the city’s founding in the 12th Century through to today. The plaque on top marks where the wall was located, the one on the bottom left where a person was arrested in the attempt to escape over the wall, the one on the bottom right marks the successful escape of three men. 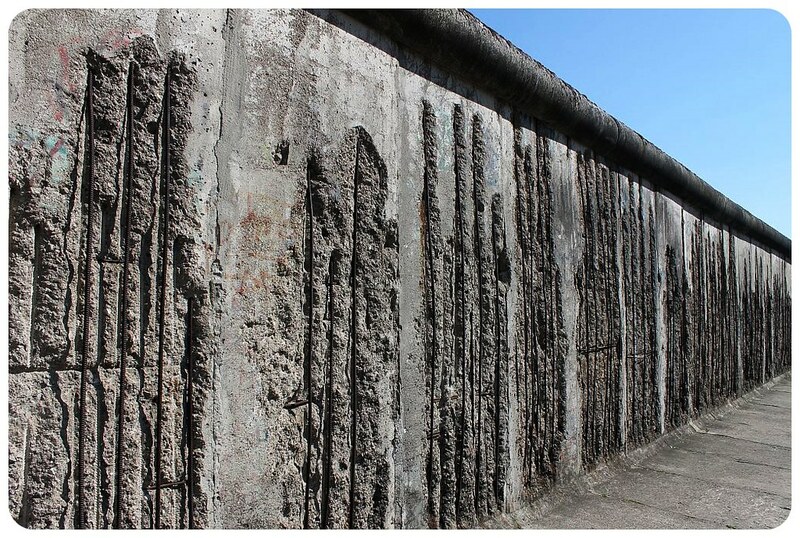 The Berlin Wall itself is an ever-present feature of the city. 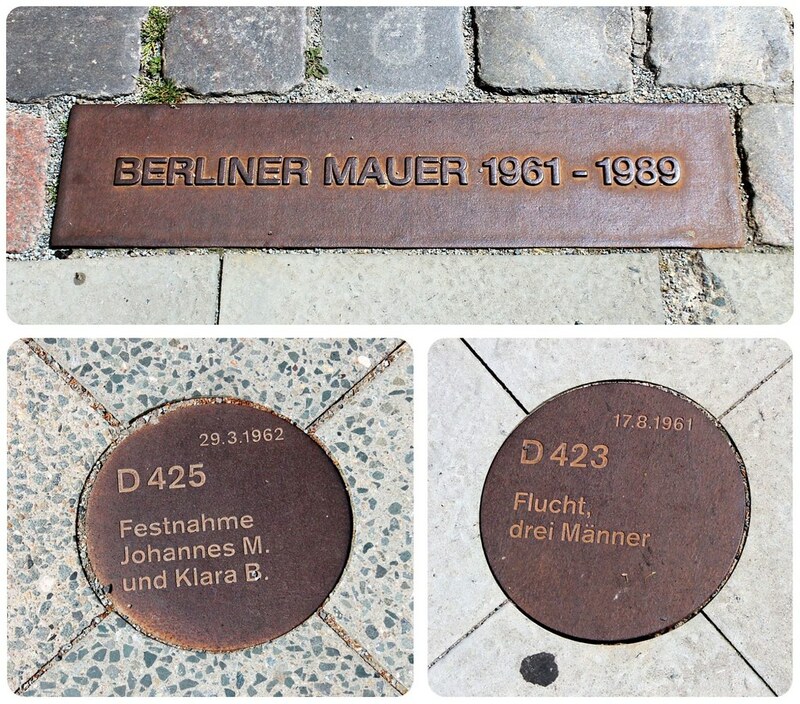 Individuals slabs are found throughout the city as memorials, but the largest concentration of remaining wall can be found at the East Side Gallery, the longest remaining piece of the wall. 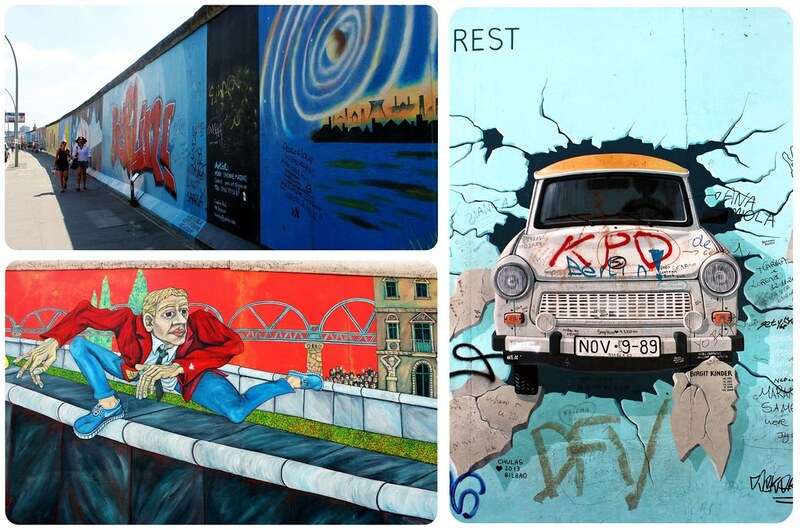 However, in true Berlin form, the East Side Gallery isn’t just a sad memorial of concrete slabs. Each individual slab is a canvas used to express and communicate message related to the wall, the war, hope, freedom, intercultural understanding or simply incredible graffiti art. The heavy irony was not lost on us as we cycled back and forth between the east and west sides of Berlin everyday. We did so freely and yet, as a child in the former DDR, Dani would not have even been allowed into West Germany (she could have been shot for it) let alone would she have been cycling back and forth across it with her American girlfriend one day. And did we ever cycle! 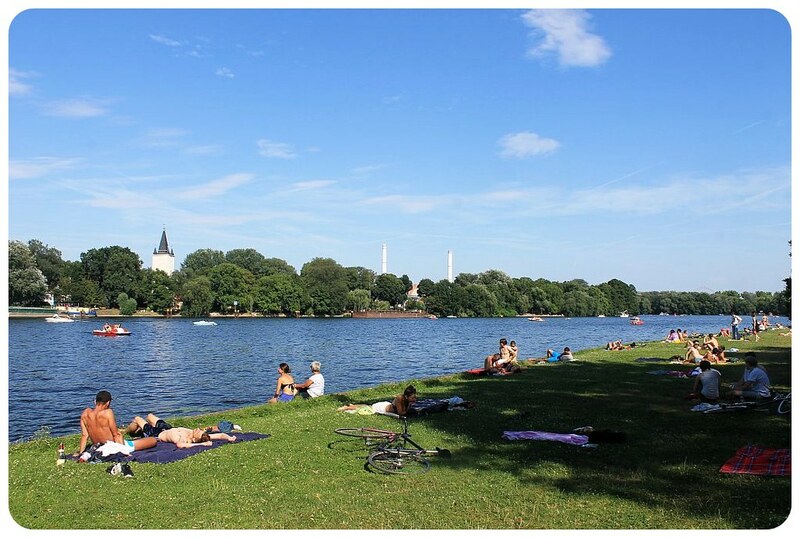 Berlin is such an amazing city for cycling, with countless miles of bike lanes that crisscross through neighborhoods and lead to lakes and parks far out of town, too. 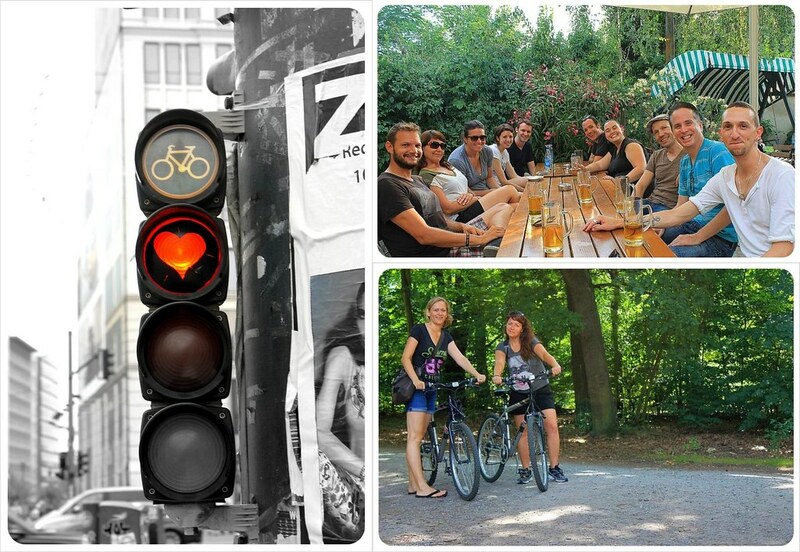 We cycled 20km almost every day, past major sights like Alexandarplatz and the TV tower, through the Brandenburg Gate, along along the Wall, and through Checkpoint Charlie on our way to visit friends, test out as many international restaurants as possible or have drinks at beach bars or beer gardens. 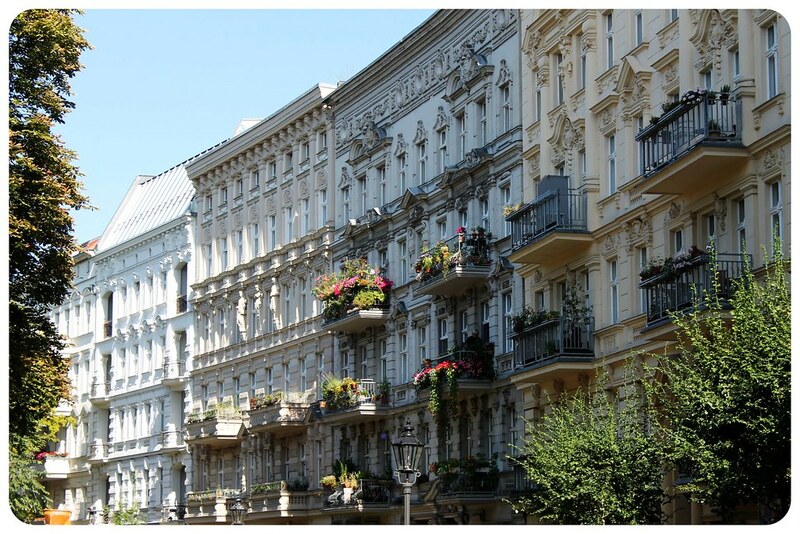 Some days we stayed in our own ‘hood, Kreuzberg, which is where Turkish immigrants stayed and settled. Today it is a bustling international area where rebel youth and Turkish grandmas co-exist, often lined up at the same shops for ethnic food, or shopping at the same Turkish market on Tuesdays and Fridays. We went here very week to stock up on fruit, veg, cheeses, breads and olives. 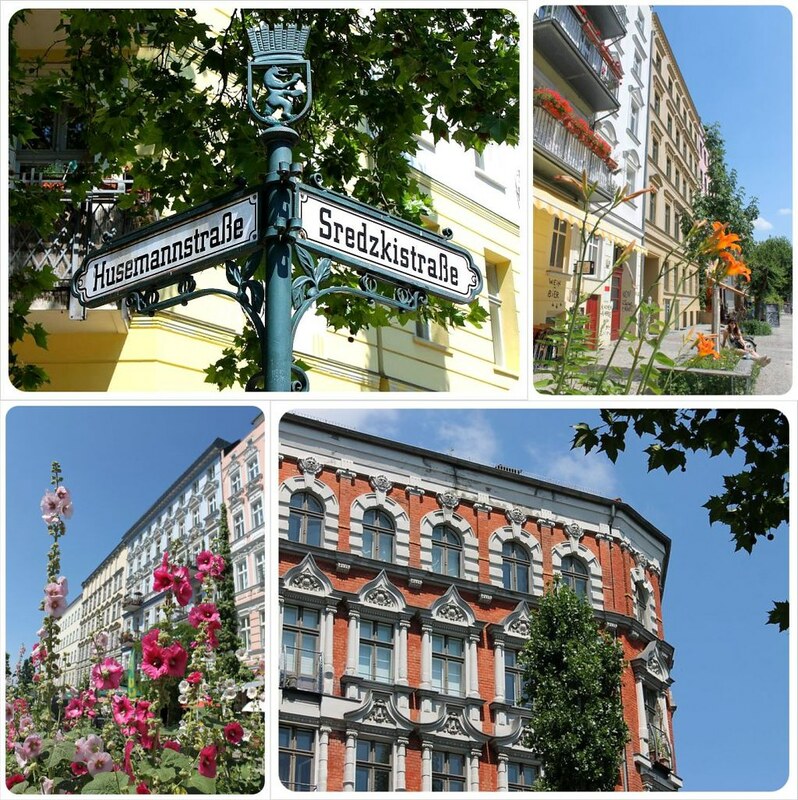 Our other favorite neighborhood is Prenzlauer Berg. This is one of those places locals love to have the gentrification conversation. Just go on a walk, and you’ll hear how ‘this was an abandoned building two years ago,’ ‘the buildings on this street were all an ugly gray until last year,’ or ‘Rents here have gone up so much since last year.’ We were just swooned by the tree-lined streets, imaginative cafes and weekly food and craft markets set up throughout P-Berg. Most noticeable though is how you immediately know that you have crossed from East to West Berlin – the architecture, the little green and red men on the traffic lights and the tram that exists only on the east side. 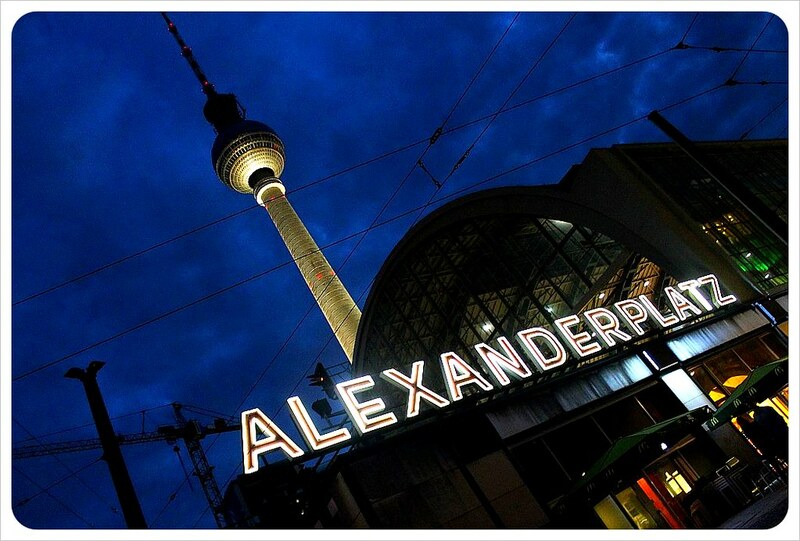 Alexanderplatz and the TV Tower: Iconic East Berlin. The TV Tower can be seen from almost anywhere in the city. Public transportation options abound in this city. The summer should strictly be for cycling, but in the winter, you can choose between that tram (east only) the elevated S-bahn network, the underground U-Bahn,buses, trains, taxis and there has even been a major boom in services similar to Zipcar. Over 10 companies allow you to rent cars by the hour or for the day – all for extremely low rates. So why do Germans think it is so awful? Maybe it’s the party and club culture that takes place all night long? Clubs are open so late, you would think you are in Spain, not Germany. Some clubs never even close at all. And let’s say that sounds appealing to you – good luck getting in. Berlin has been up-and-coming for long enough that there is a very careful curation of cool in most of them. Odds are, you’re not getting past the doorman. Clubs post very specific signs such as ‘No American Hipsters Allowed’ out front to make sure you know where you’re not wanted. Don’t worry though – it’s not like there is nowhere else to hang out. This is a city where brunch is a meal celebrated seven days a week, and is available until 4pm so you don’t even have to get up before noon. 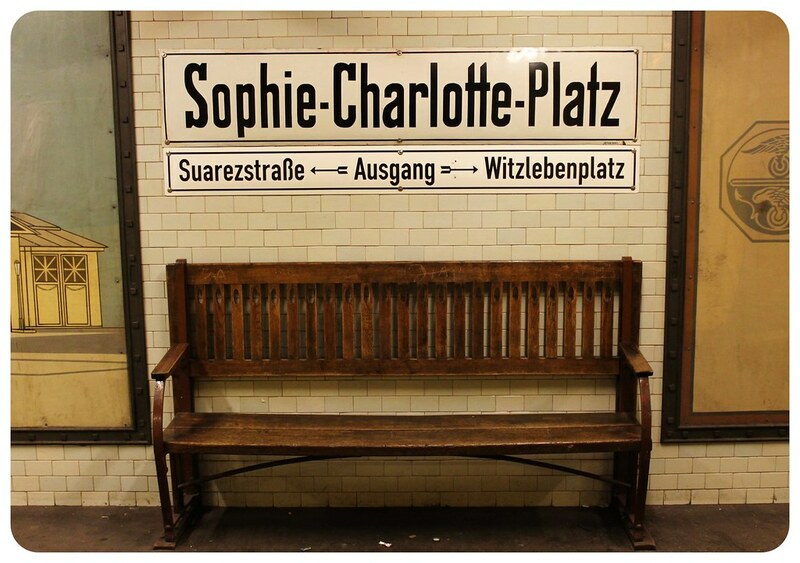 For more quintessential Berlin spots, there are three places that encapsulate the Berlin vibe. The first is the Badeschiff. 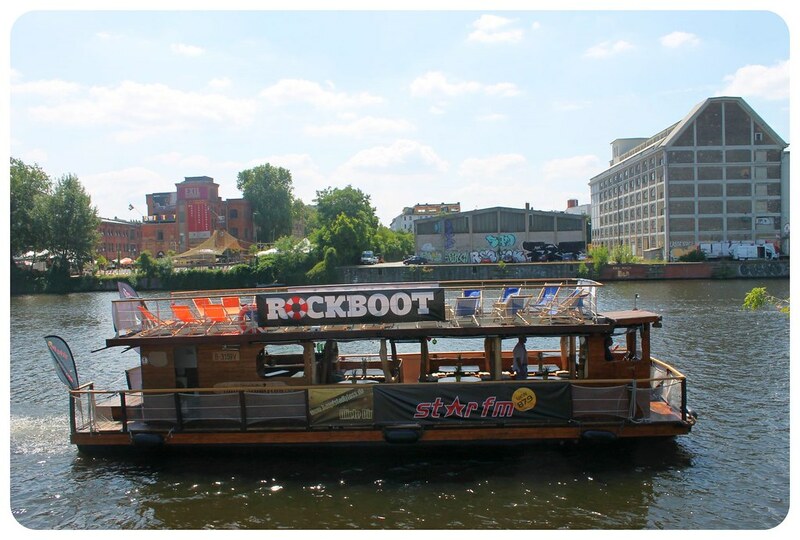 There is no swimming allowed in the Spree river, so some creative types took an old wooden boat, hollowed it out and made it a pool. 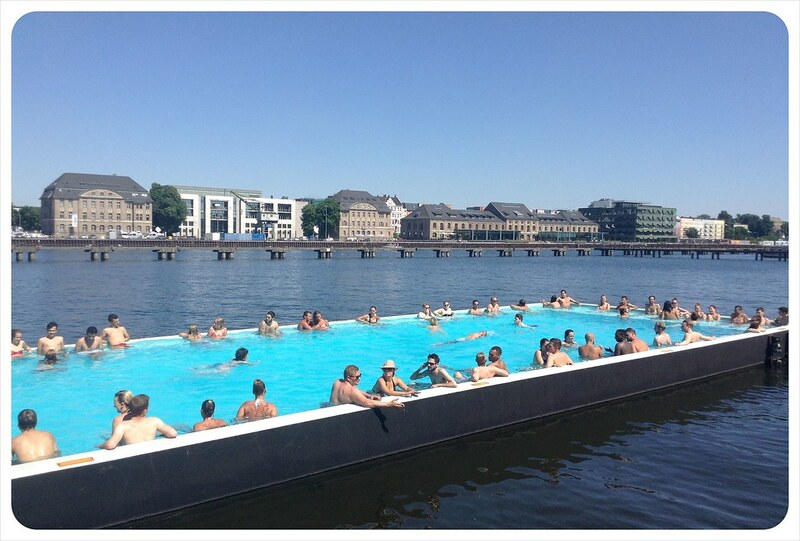 A pool, in a river, in the middle of the city and it’s surrounded by a beach and a bar. Entry is only 5 Euros to spend the day there, too. 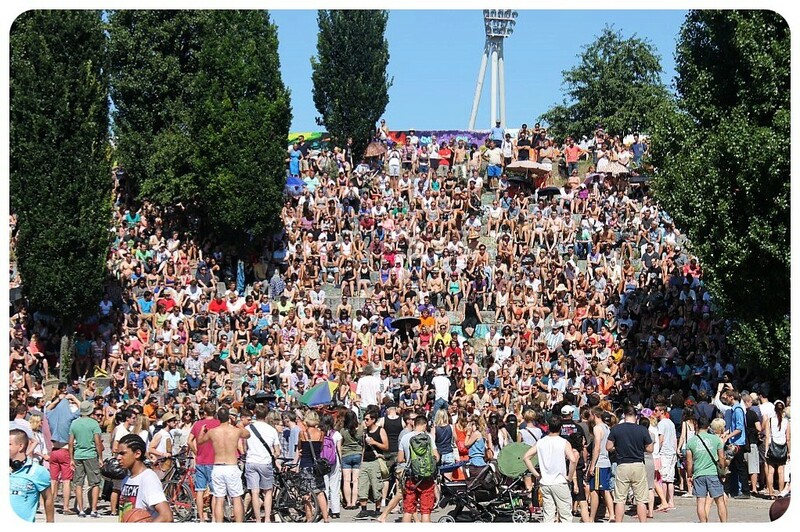 The second is Sunday Karaoke in Mauerpark, where thousands of people gather in amphitheater seating to listen to the few brave souls willing to get up and sing karaoke songs in front of the massive audience. When you mess up, forget the words, or act awkward, the crowd doesn’t boo or hiss – they encourage you, applaud and cheer you on. The third is Tempelhof Airport, a pre-WWII airport closed for good in 2008. Rather than develop this space with condos (though the fight for this was intense) the massive landspace was left as is and in 2010 officially became a city park. 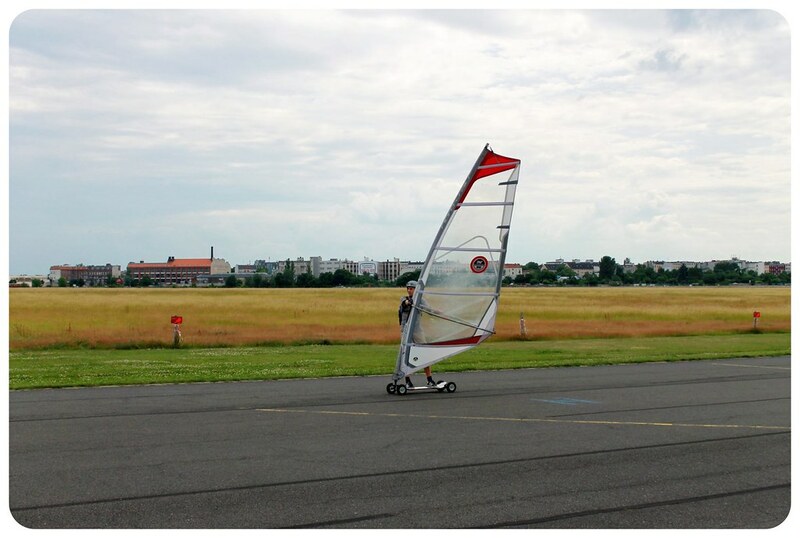 Today, thousands of Berliners sprawl in the fields, jog, cycle, skate or kite-board down the 5km landing strip, play mini-golf, pick vegetables at communal farm-shares or jam at concerts near the terminal buildings. That locals would seize it and make it their own is not surprising. The fact that condo developers were kept at bay makes us think that some government officials might actually be throwing on their skinny jeans and kite-boarding, too, while their colleagues frequent the city’s opera houses or theaters, spend the night listening to the philharmonic, stroll through contemporary art museums or watch independent international films at art house cinemas. Let’s be clear that Berlin is as high brow as it is punk. Hell – you might even find a bar called High Brow Punk somewhere in Neukölln. It is a city where Spanish hipsters rub elbows with pram-pushing yuppie mommies at Vietnamese restaurants, and the German busker on the corner might suddenly find himself singing a duet with the original British rockstar, out for a walk with his dog. The city demands that you add your own flavor, not to conform to what’s already there. Speak your own language, build your own life, make it your own. Look. If you go to Berlin, you’re going to change it. You’ll visit, pick your favorite neighborhood, and pay higher rent for an apartment for a month. 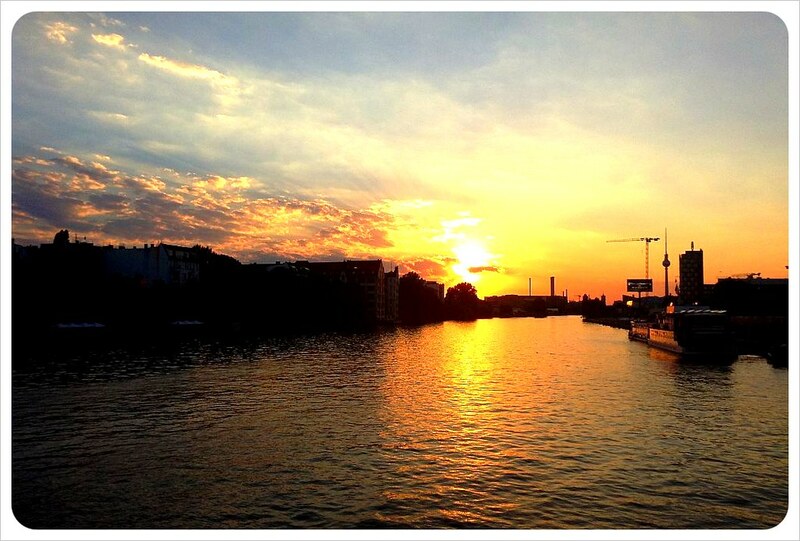 Then you’ll start telling people all about how awesome Berlin is…then they’ll come, too. It’ll be anarchy! Wait…Berlin thrives on anarchy. Okay, so you might come to Berlin. And we can’t stop you. We just hope that Berlin doesn’t lose the state of controlled chaos. We love it the way it is now, and the fact that we want to dissuade you makes us feel like locals already. Berlin’s not perfect. It’s gritty and green, international and easy-to-maneuver. 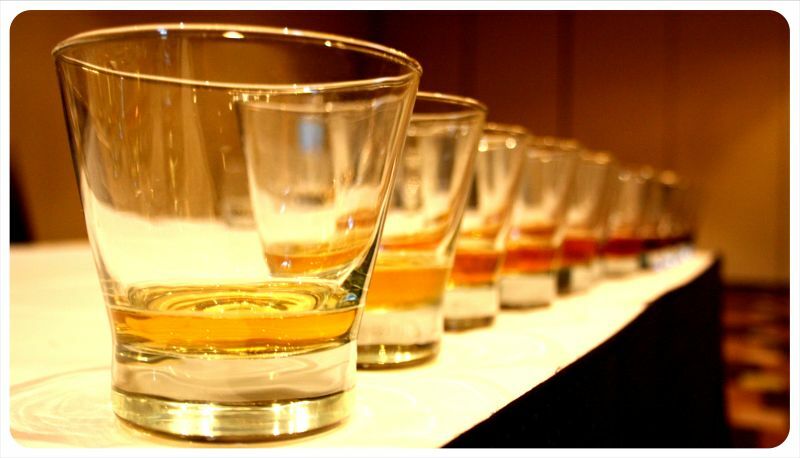 It’s just right for our taste (except there could be an ocean…). France is an often romanticized but truly amazing country, and the sheer volume of activities it has for visitors is nearly unparalleled. From skiing and snowboarding on fresh white snow, visits through the wine country, shopping, eating and drinking, and learning more about the long and interesting history of this beautiful country, you will not be disappointed you decided to make the trip. You almost have to start in Paris. You’ll most likely by flying into the French capital anyway, so why not spend some time exploring this interesting and beautiful city? History appeals to those of us from relatively new countries, and you won’t be disappointed here. Not only is Paris the backdrop to some of history’s most important events, but it’s also home to some of the most unique and famous art in the world. The Eiffel Tower, Louvre and Moulin Rouge must be on your list, but do some research and you’ll find some amazing off-the-beaten-path activities that you’ll remember forever. Although it’s a bit of a cliché, Paris truly has something for everyone. Make your way towards the South East of Paris and you’ll find yourself in beautiful Burgundy, or Bourgogne, home of delicious red wine and Dijon mustard. Between Dijon, Beaune, and Auxerre you’ll find a range of wine related activities, great shopping, and some stunning, old French architecture. The Hospices de Beaune is probably the most stunning example of Burgundian roofing, which is really distinct as it uses a number of different colors in tiles geometrically arranged. This region is fairly expensive, though, so I’d make sure that you’re very keen on wine and architecture if you’re going to visit. 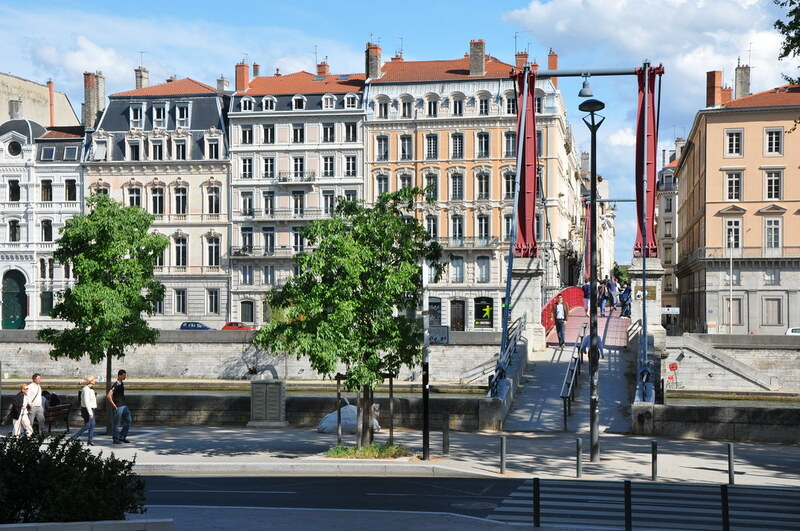 A bit further south is Lyon, a beautiful city full of culture and things to do. 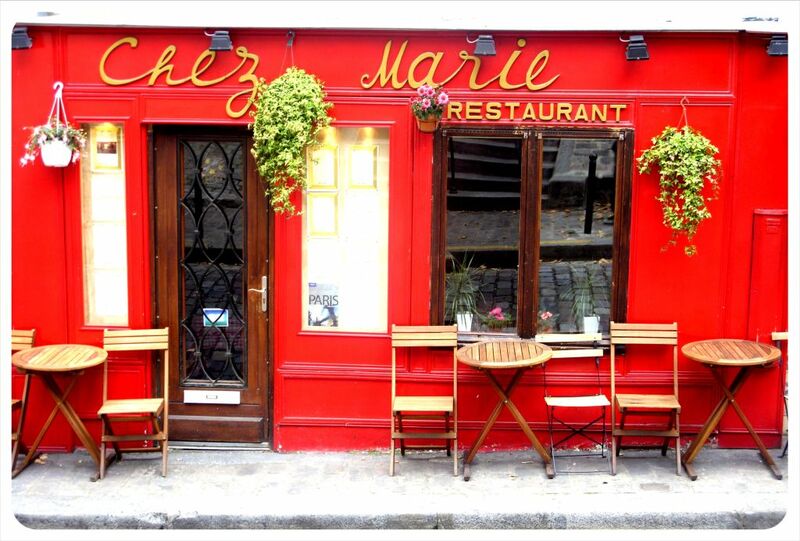 This is a must-see if you’re fond of eating your way through a place as it’s considered the capital of French gastronomy. They also have a leading football team if you enjoy a bit of sports, and this combined with a stunning Basilica, some beautiful winding lanes and the remains of a Roman amphitheater. I probably don’t need to convince you to visit the south of France. The epicenter of glamor, movie stars, and quintessential continental luxury! Again, there are parts of this region that are very expensive, like Cannes and Antibes, but you’ll be able to enjoy the beaches, heat and culture of this area in some neighboring towns, like Nice or a bit further west in Aix-en-Provence. Although quite sleepy, in the North of France you’ll be pleasantly surprised at the charm of the region as a whole. As the site of the D-Day invasions, you’ll find numerous Second World War graveyards and monuments. This area is fairly inexpensive and does have a large number of markets, old buildings and small museums tucked away, and it’s one of my favorite parts of the country. Rouen, Caen, and Dieppe are particularly nice, and if you take the train, they’re all really easy to get to. 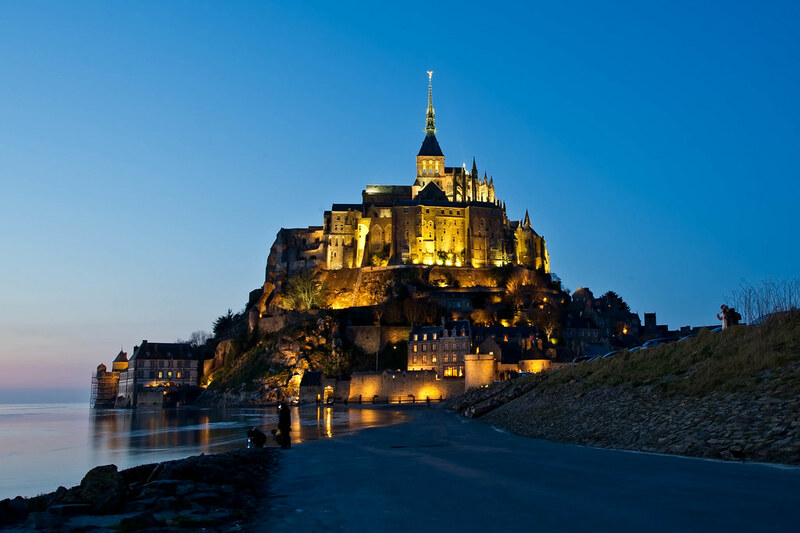 Don’t forget to make a stop at Mont Saint-Michel, which is a giant fortified monastery on an Island. If you love skiing, you absolutely must visit the French Alps once in your life, at least! Hugely popular with Brits and other Europeans, as well as other world travelers keen to experience the slopes in another part of the world, the range (no pun intended) of locations and mountains to explore means that whether you’re just starting to ski or you’re at an advanced level there is resort that will be just what you need. Look for a ticket to the Rhône-Alpes region in South East France, near the borders of Switzerland to the North and Italy to the East. Val d’Isère offers a range of on and off piste skiing and is well suited for advanced skiers, but will be a great experience for new or intermediate skiers as well. Another classic example of a French skiing wonderland for the experienced is Chamonix, a brilliant (but expensive) example of a French ski town. For beginners, heading for Courchevel or Morzine is a good idea as both offer intermediate terrain. Depending on which cities and towns you plan to visit, some times of the year are better than others. For instance, Paris is lovely all year round but visit in the spring for a particularly special time. The summer is when they have an influx of tourists and this can make popular destinations like museums and sights really crowded. Tours of wine country are beautiful in the fall when the leaves are changing, and skiing is best in winter of course. 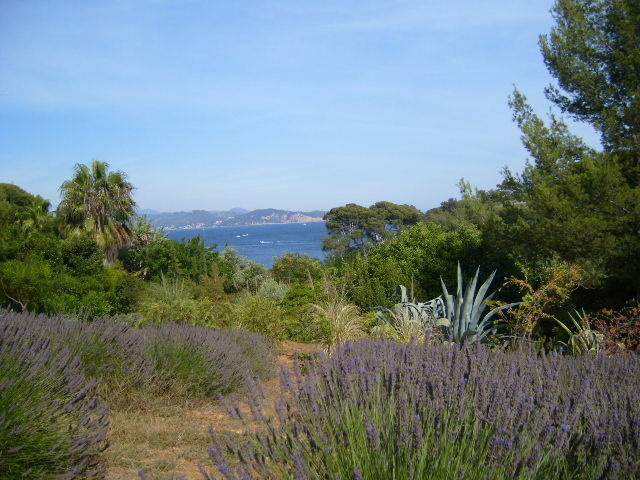 The summer is a great time to explore the legendary beaches of Cannes, Marseille and Nice, or island of Corsica. It is so easy to get around France. The train system operates in what seems like two parts, with the TGV and the TER operating throughout the country. The TGV is the high-speed service operating all over the country, meaning you can get from one place to the next fairly quickly and easily. The TER is rail service run by the regional councils, and offers shorter services between towns. This is a cheap and brilliant way to get from one small town to another, and one of my favorite ways to discover the charm and character of the small towns and cities of France. When I was in France, I didn’t feel unsafe. I was extremely careful, however, and didn’t venture out too far into the suburbs or away from main streets after dark. 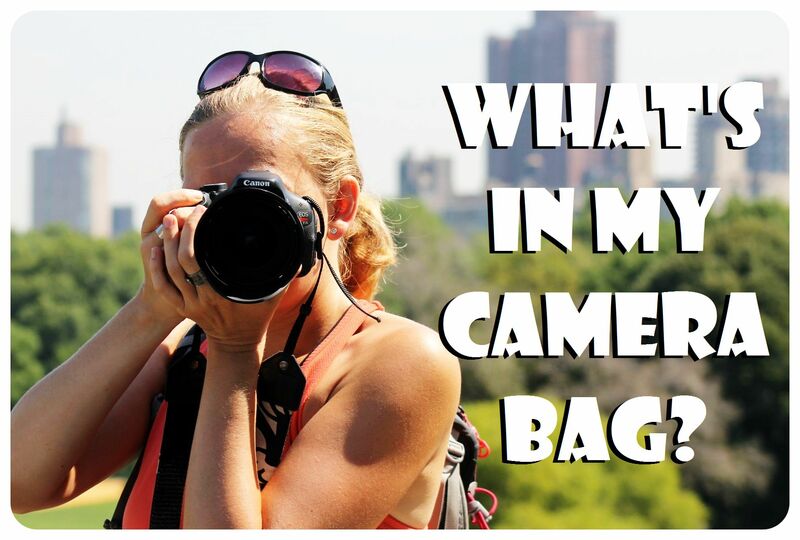 Like any other large, tourist friendly city, there are pick pockets in popular areas and on public transport, so stay vigilant and keep your things close to you. The French police are a visible presence in most locations like train stations, which does make you feel a bit more comfortable, but again, particularly if you’re traveling alone, avoid small lanes and dark areas at night or take a taxi, which you can find at a ‘station de taxi’, or hail. 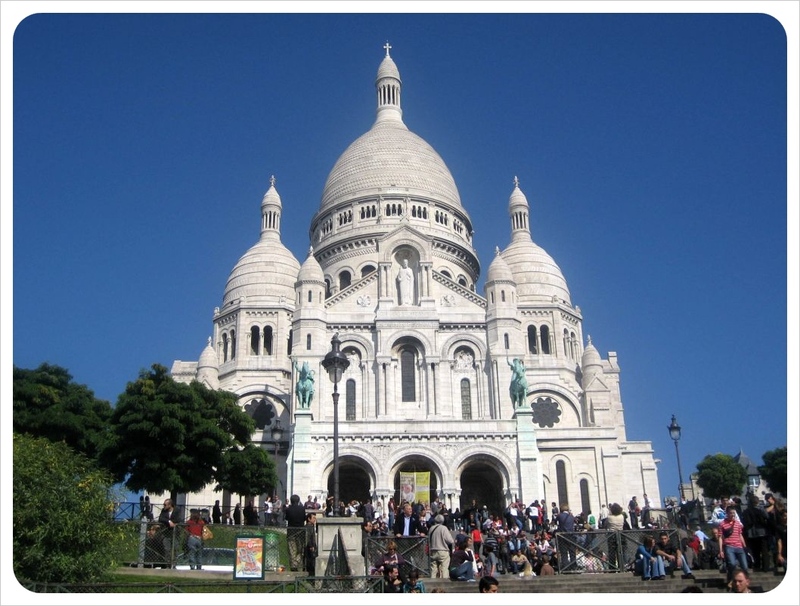 This article was written by Rachel Gardner, a travel writer who spent six months living in France. Summer trips to Spain inspire ideas of sun and sand, but jet down to Malaga and you will not only be in one of the Costa del Sol’s top resorts, but also in a convenient position to go on some amazing day trips. Flights from anywhere in Europe are quick and cheap, and when we hopped on a flight to Malaga, we discovered that although Malaga itself is a rather large city with plenty to see and do for an extended period of time, what makes this sunny city such a great destination is how much you can do just outside the city limits, within an easy day trip. Here are three quick trips recommended during a summer vacation in Malaga. 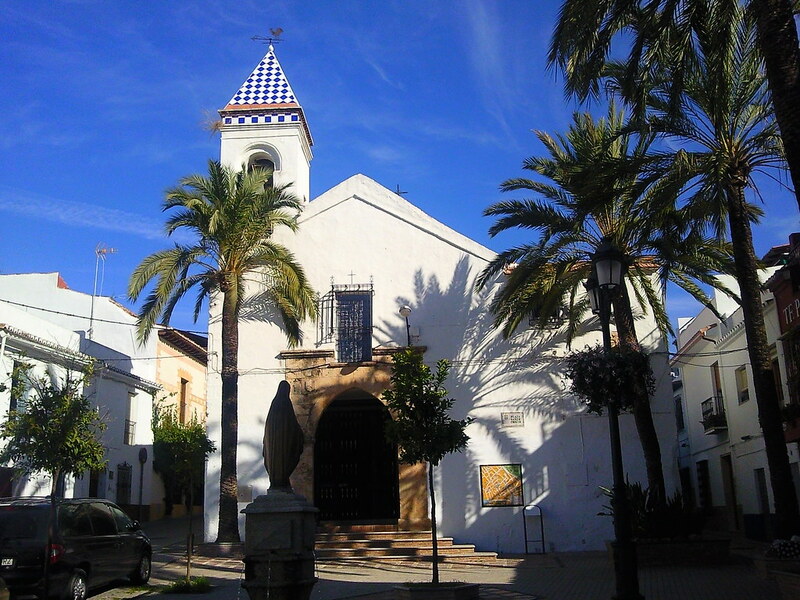 Spain as a whole has a reputation for being chic, but if you want to take a day trip to somewhere really luxurious and suave, head to Marbella. Situated about an hour’s drive to the west of Malaga, this coastal resort has long been popular among celebrities, like Hollywood actress Eva Longoria, so you could well end up rubbing shoulders with some high-profile names when relaxing on one of Marbella’s golden beaches. You might be inspired by all the shoulder-rubbing and decide to stroll the Prince Alfonso Hohenlohe Boulevard for a spot of window-shopping, as this main drag is perfect for picking up (or just admiring) designer clothing and gorgeous jewelry. For those who like basking in the famous Spanish sunshine, Nerja is a key day trip destination worth checking out. This western Costa del Sol resort lies about an hour away from Malaga and contains a great variety of beaches ideal for laying out, working out or checking out beautiful beach bodies. Among these is Burriana, a lovely 700 m expanse of golden sand, though El Salon, Calahonda and La Torrecilla are also good places to relax. For those interested in more than relaxation, head to the Nerja cave. Only discovered in 1959, this underground complex features a wide range of ancient rock formations, including stalagmites and stalactites, that have been sculpted over the course of thousands of years. Admittedly, many of those who visit the Costa del Sol will stick to the region’s coastal towns and resorts, which is why heading inland offers a fairly unique and culturally interesting day or overnight trip. 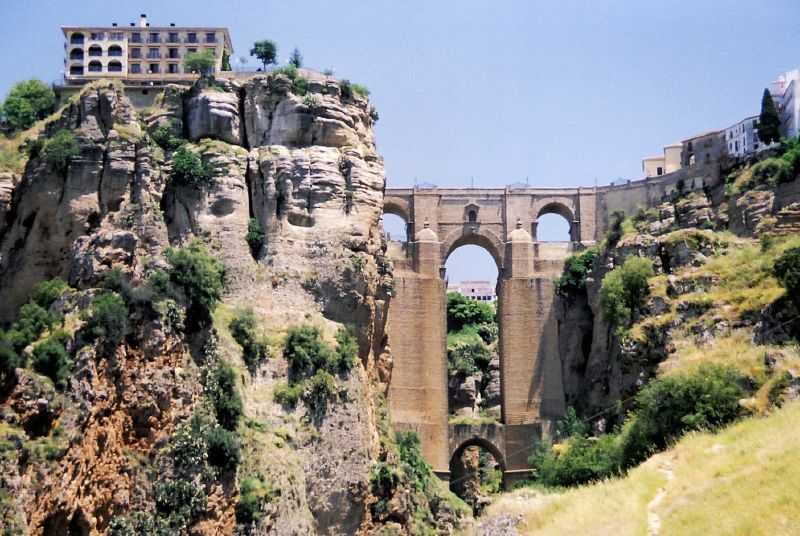 Explore Ronda, a historic town that lies on both sides of the Tajo del Ronda gorge. A wealth of period architecture can be seen here, including the 13th century Almocabar Gate and the Santa Maria la Mayor. The latter was originally a mosque, though it would later be converted into a church when Ronda fell under Christian rule. This transformation has resulted in the structure containing a blend of architectural styles and features, including a mihrab arch and a Baroque-style interior. Between even just these three day trips and explore the city of Malaga, you can easily fill a week of sun, sand and culture without worrying about heading to packed out Barcelona or Valencia in the height of summer season and still feel like you have had a classic Spanish summer experience. North of the Border: 5 Must-See Canadian Sights Just Beyond the U.S.